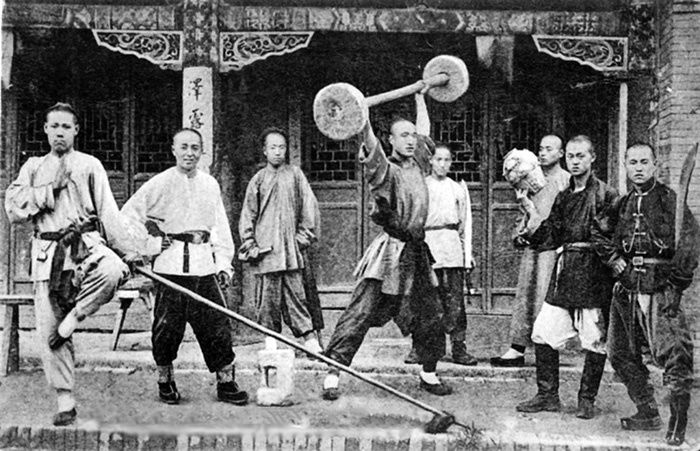 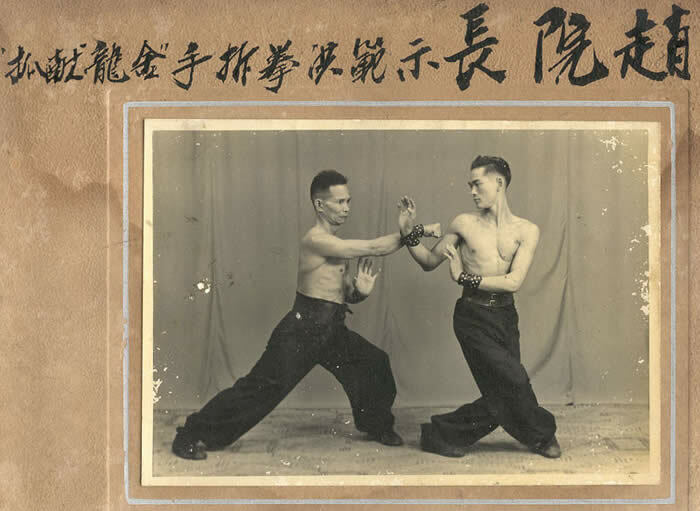 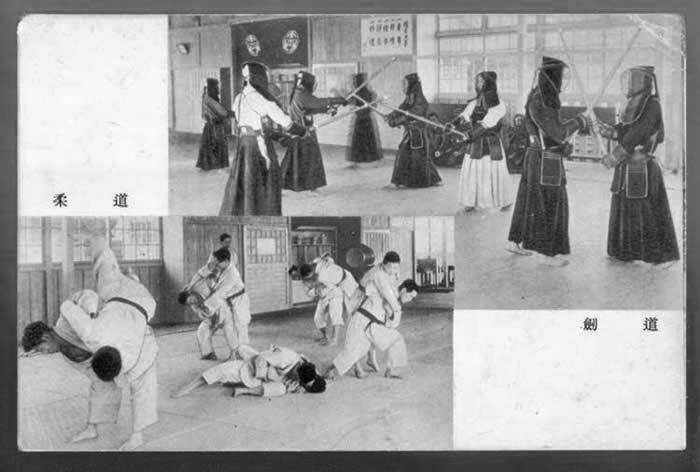 I have been searching the internet for some time now to find old photos of anything to do with martial art history. 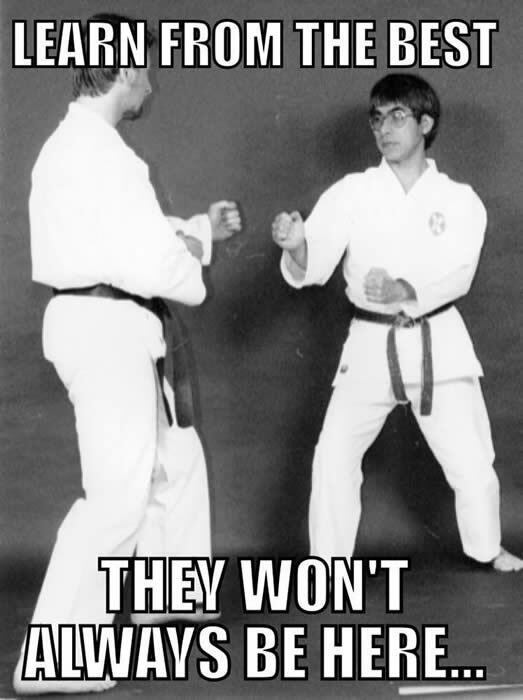 Although some things may be questioned and some photos unexplained, I will try my best to rectify this over time. 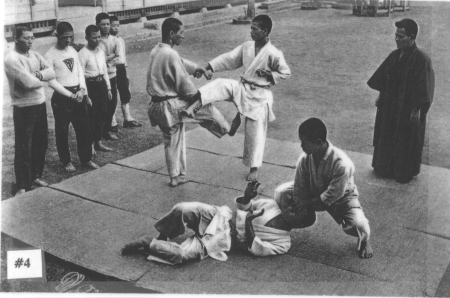 However, it's sad that many groups will copyright them, putting their logo on them, in the missguided thinking that martial arts history belongs only to them. 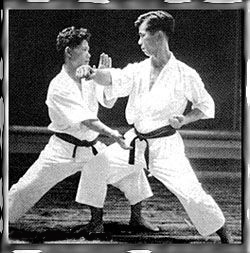 For me the history of the martial arts should be available for all traditional martial artists to enjoy and to experience. 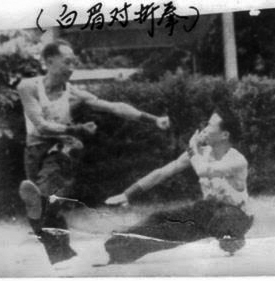 With this in mind I have tried to enhance the photos to make them as clear as possible. 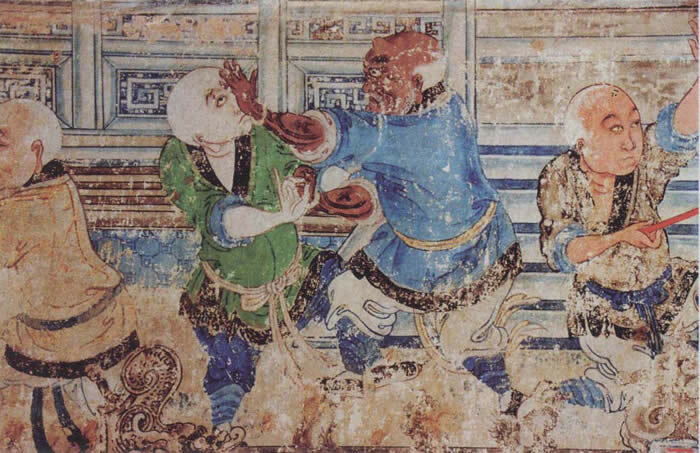 Although the basic forms of individual self-defence are probably as old as the human race, the history of a structured weapon-less fighting system is believed to have originated somewhere in India moving on to China. 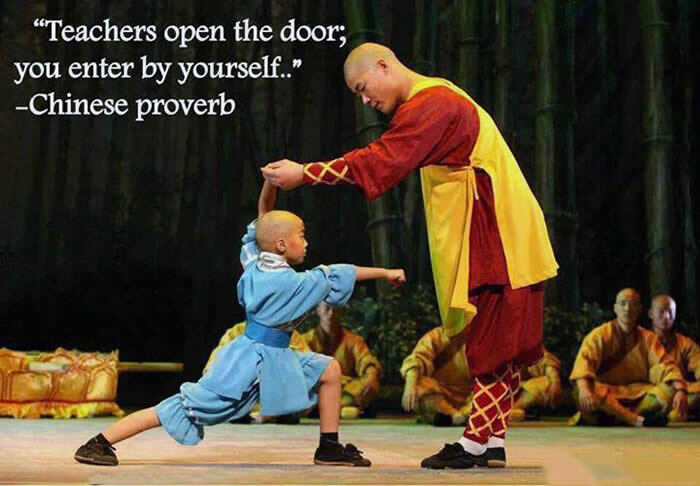 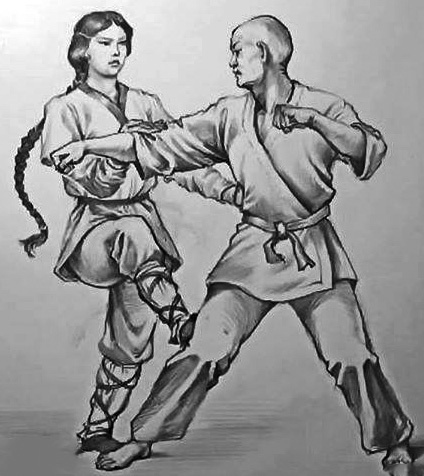 Although this may be true it is also believed that the foundation of the beginning of traditional Martial Arts training itself originated in China during the 6th century A.D. 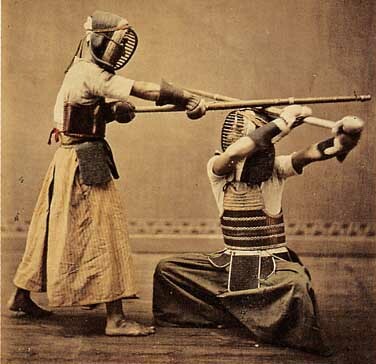 However, there is substantial proof that almost every culture had a form of self defense. 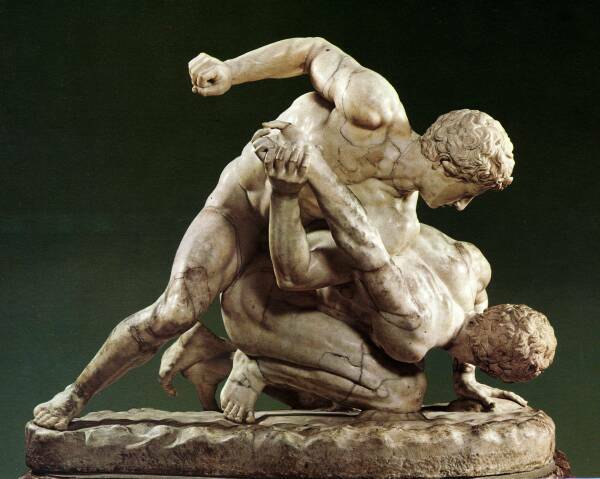 There is a written record of a style called "Pankration" that is reported to have been practiced as early as 500B.C. 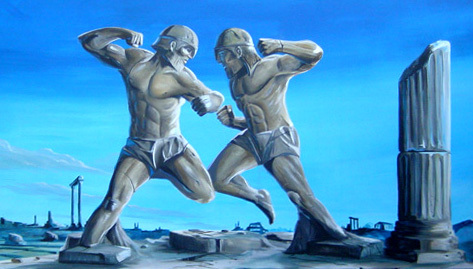 Pankration translates to "all encompassing". 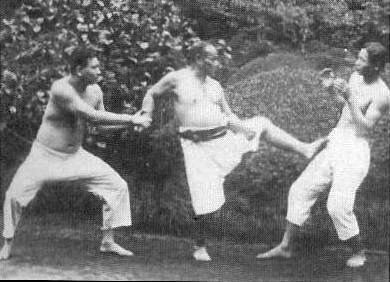 It is said that "Pankration" was introduced into the Olympic Games, which included a form of punching, kicking, throwing and holding. 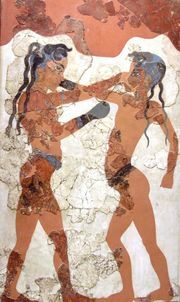 A Greek vase from around 500-525B.C. 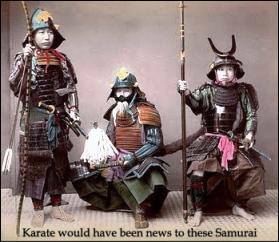 In 326 B.C. 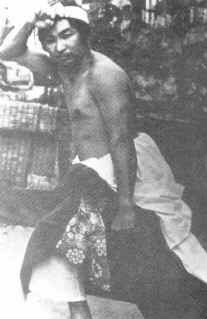 Alexander the Great invaded India. It is questioned by some experts if he brought a form of Pankration with him or not. 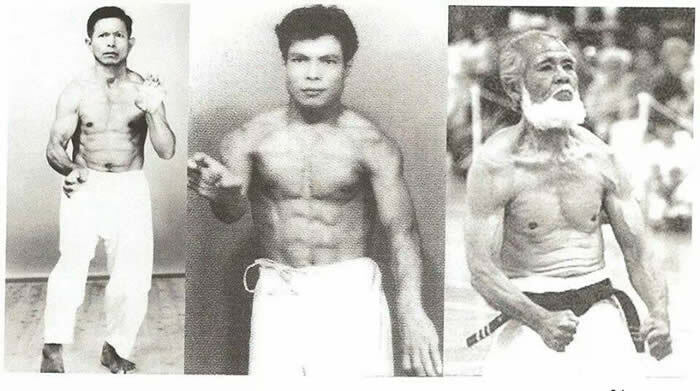 Whether the Greek brought the style and the people of India adapted the techniques, or, if India had their own indigenous style is not known, however a monk from India is credited with being the first propagator of martial arts. 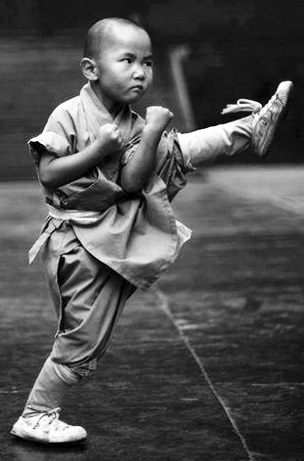 His name was Bodhi Dharma. 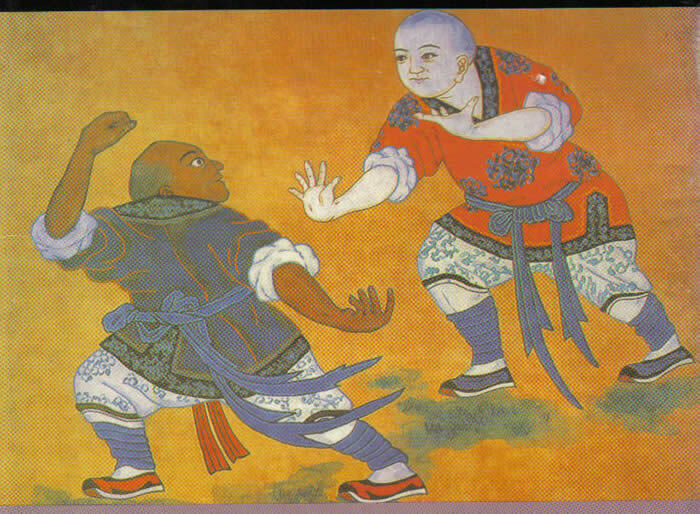 It is said that around the sixth century, the Indian monk named Bodhi Dharma, the founder of zen buddhism left India to travel, on a several thousand mile journey overland to China, to introduce Zen Buddhism as well his Indian fighting art called vajramushti to the Emperor Wu. 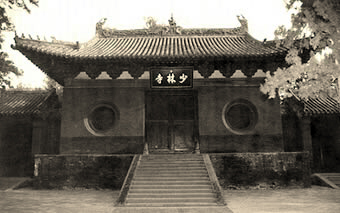 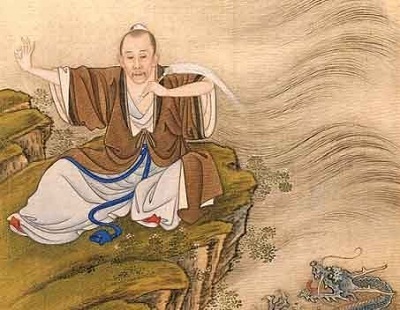 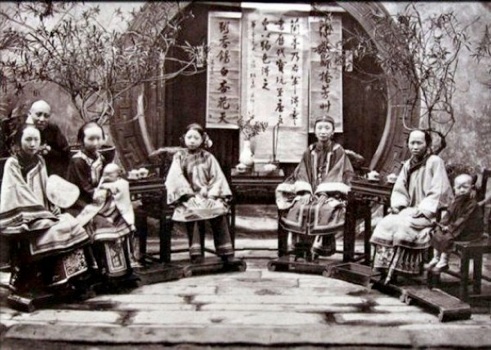 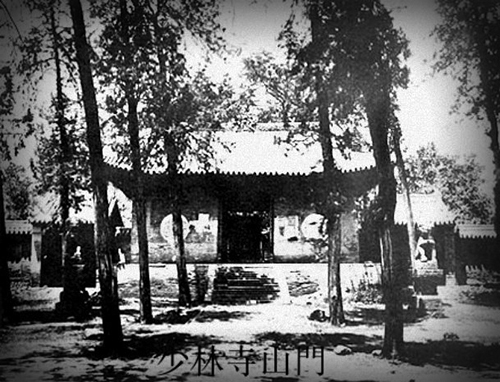 When he failed to gain favor with the Emperor, he settled at a Shaolin monastery called, Sao-Iin Temple (Shorin-ji) in Hunan Province, China to lecture on Buddhism. 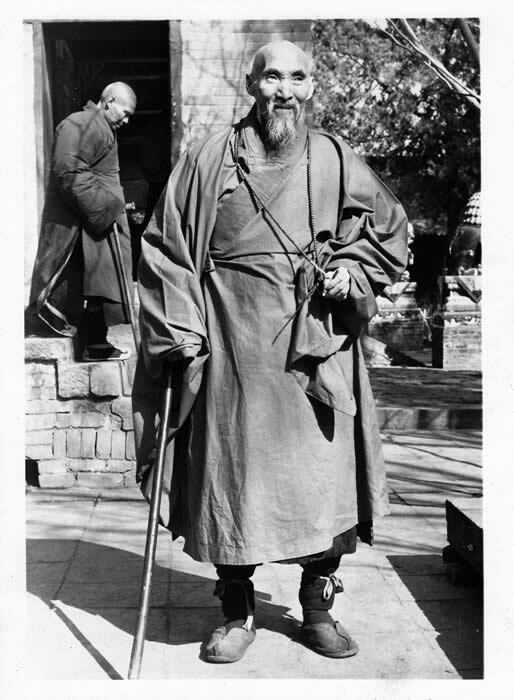 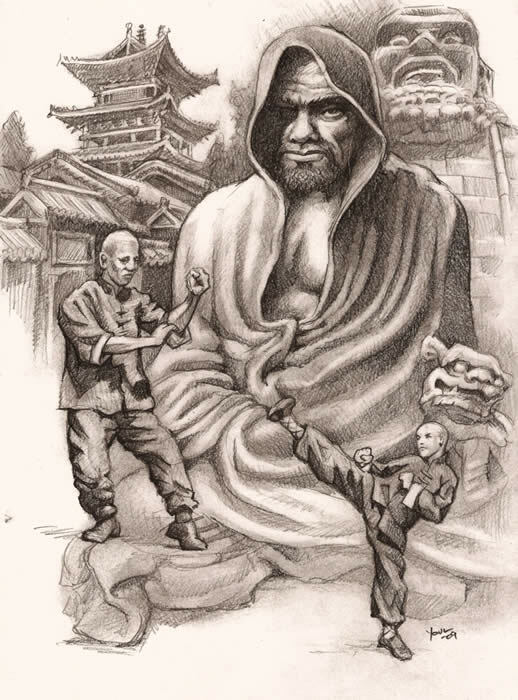 He found the monks there to be in very poor physical condition, and it was there that he taught them his exercise system of his fighting art to help them recover their health and stamina. 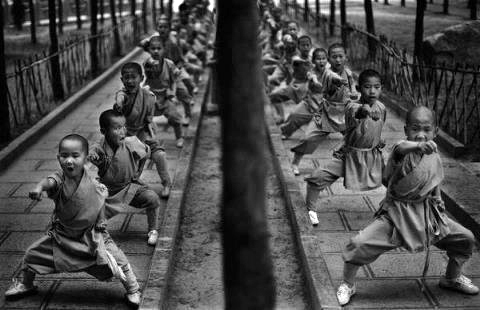 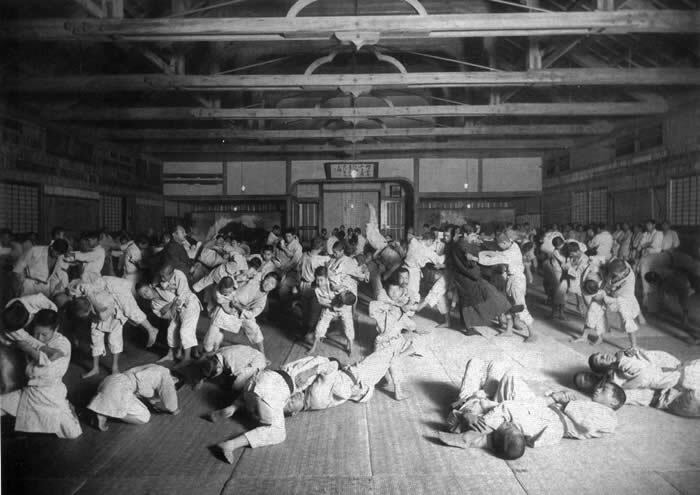 Gradually the exercises it is told developed into self-defense training that enabled the monks to protect themselves from bandits when they ventured from the confines of the Temple. 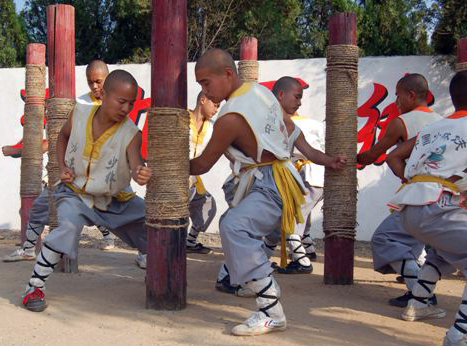 In later years the Shaolin monks developed their own fighting system which became known as Shaolin Chuan Fa. 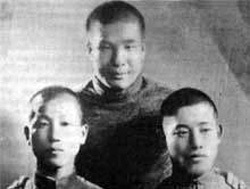 Over the years Shaolin Chuan Fa continued to develop and spread, finally filtering across the China sea around 1372 to a small Island called Okinawa just off the Japanese mainland. 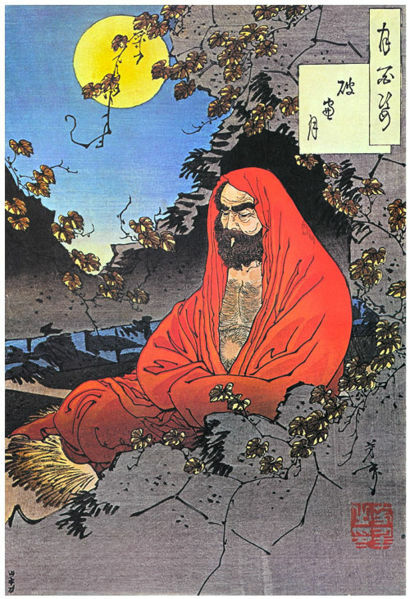 Buddha established Buddhism around the 5th century B.C. 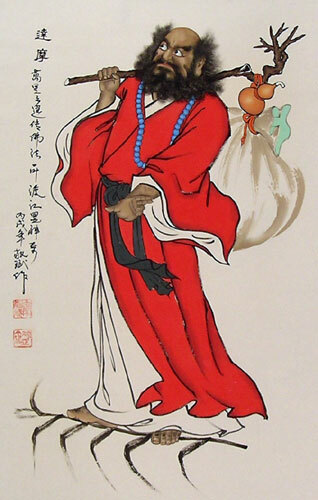 Approximately 1000 years later, the 28th Bodhisattua was born. 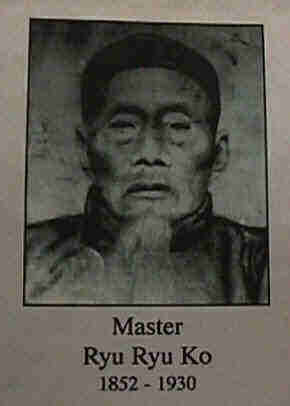 He would come to be known as Dharma, third child of the king of Southern India. 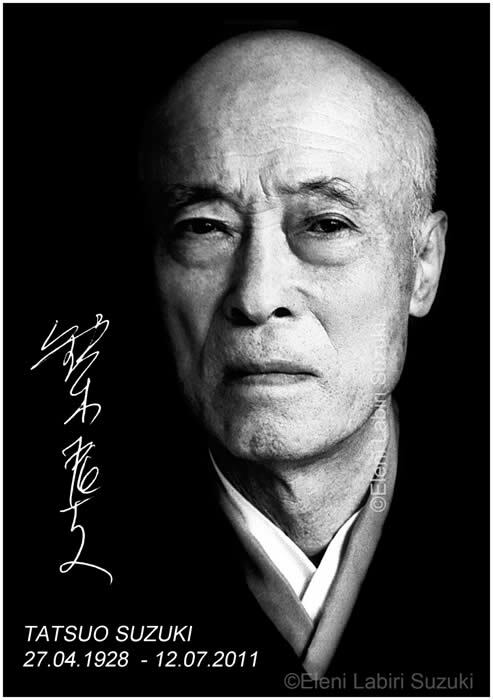 He left home after the king died and studied Buddhism for more than 40 years. 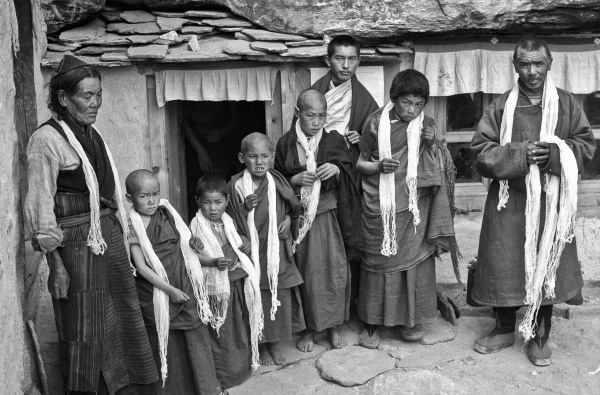 At that time, India followed the caste system. 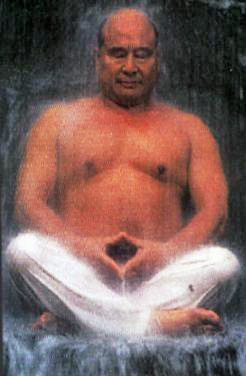 Even though Dharma would have been at the top of the caste system, he rejected it and attempted to reform it’s followers. 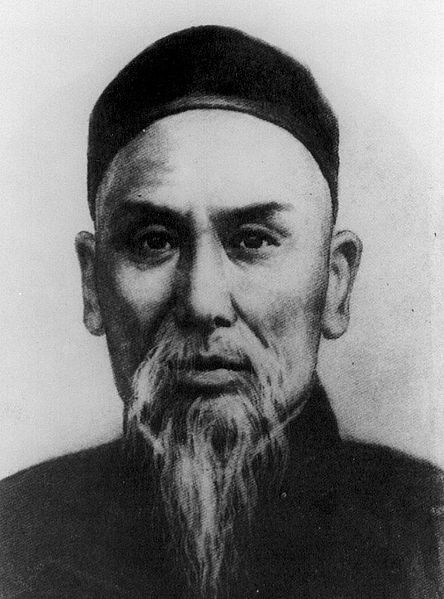 When he realized that such a grand scale reformation was impossible, he left his homeland for the neighboring country, China. 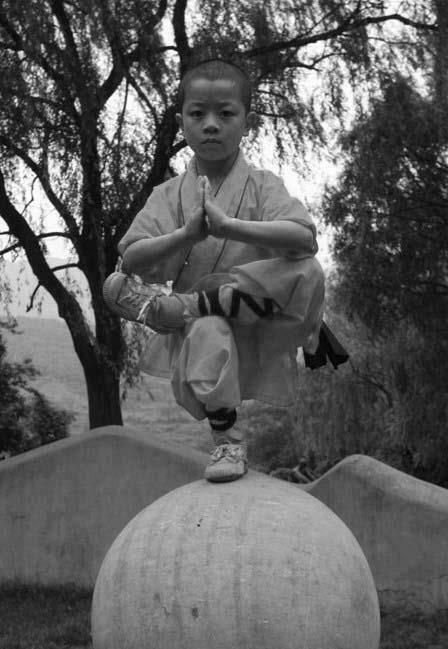 He settled at the Shaolin Temple at Mt. 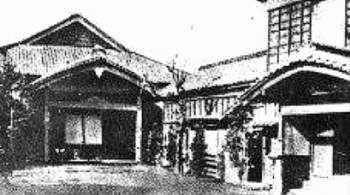 Kosan of Honan Province where he began to teach Zen Buddhism. 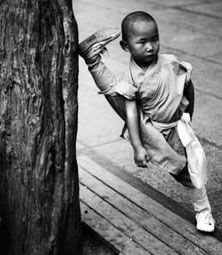 He also taught one of the Indian Yoga Methods as a way for the monks to enhance their physical strength. 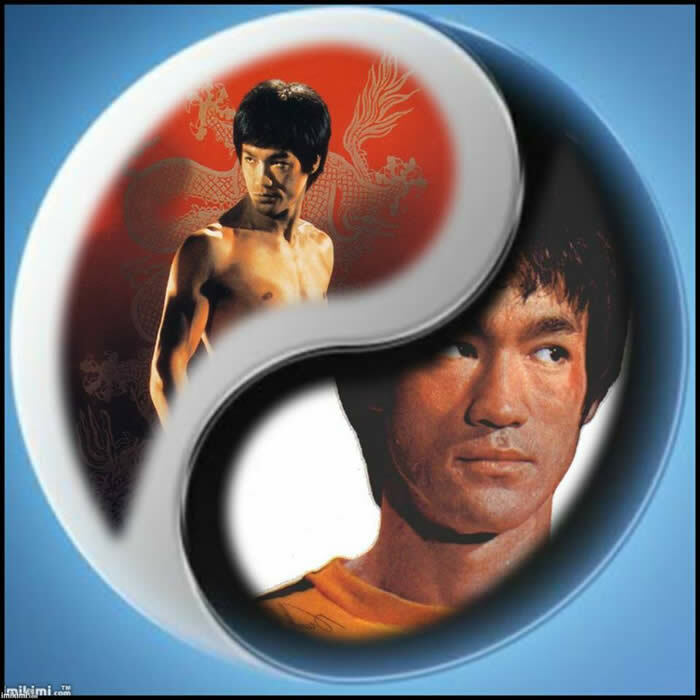 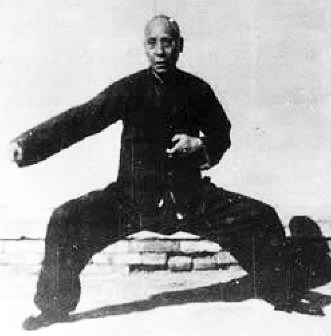 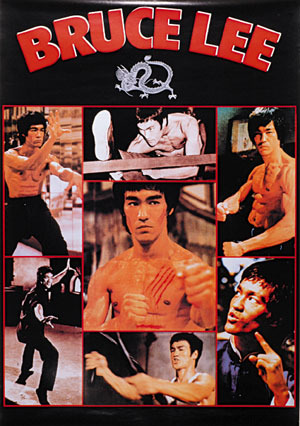 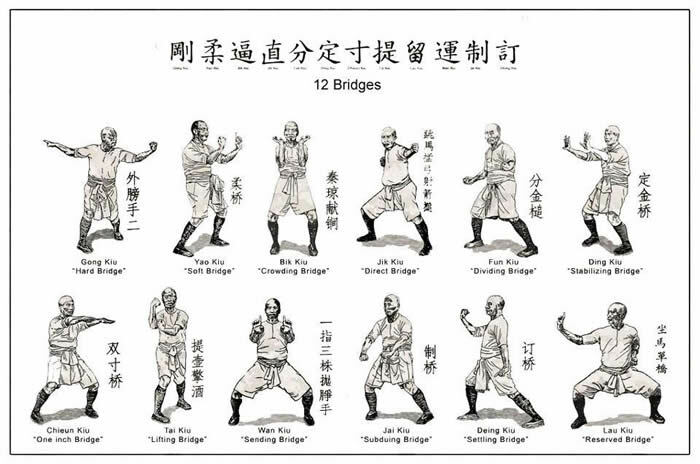 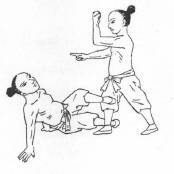 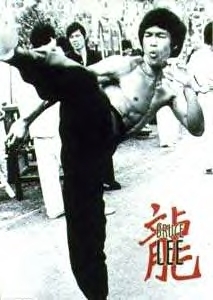 This method was developed and became the origin of Chinese Kenpo, also known as Shaolin-Ji-Kenpo. 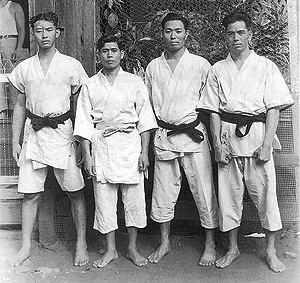 The art of Karate as it is practiced today can be traced directly to Okinawan fighting techniques. 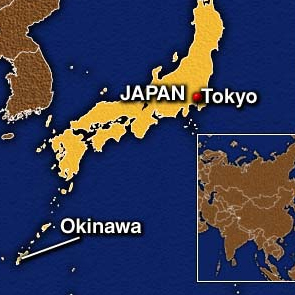 Okinawa is the main island of the Ryukyu Islands chain, located in the East China Sea. 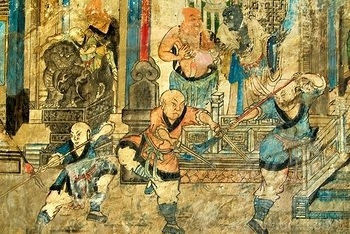 In 1349 there began a period of rapid development. 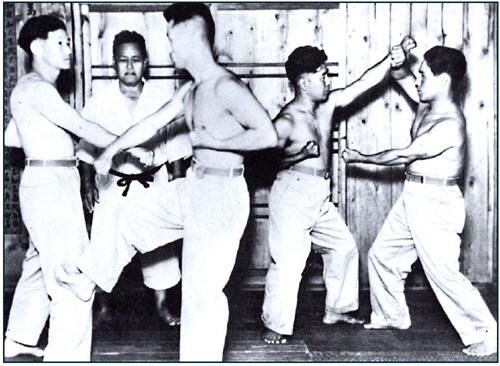 When King Satto of Okinawa opened trade with China, many Chinese kenpo masters brought their martial arts expertise to Okinawa. 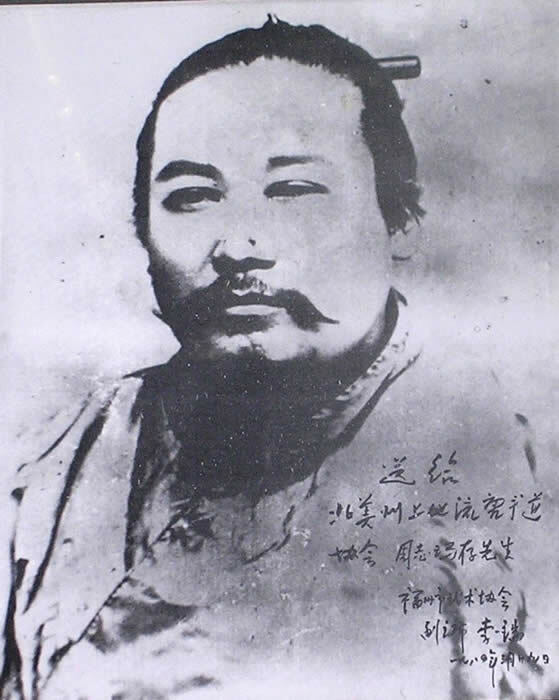 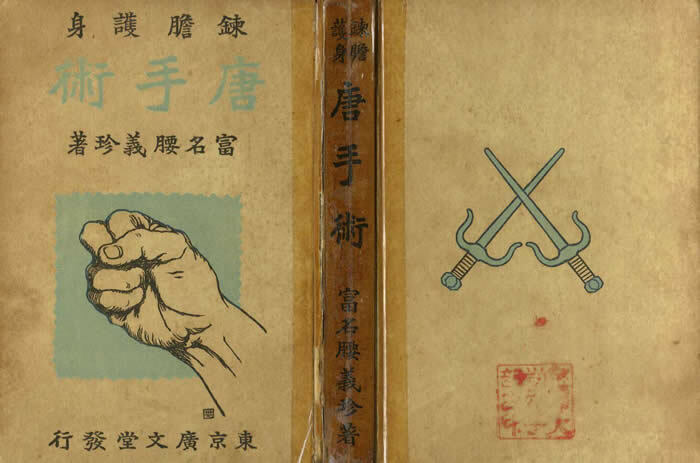 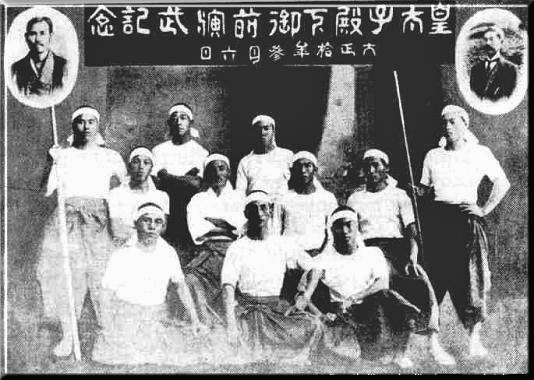 Chinese kenpo was merged with the Okinawan’s native Kenpo to create a unique method of fighting arts. 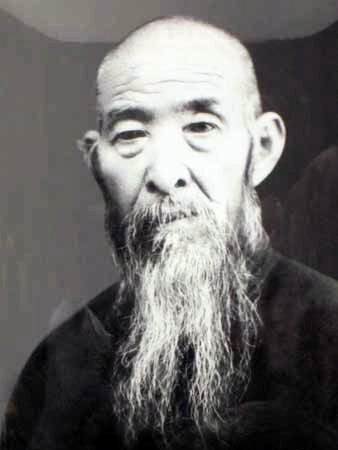 According to well documented history, an official Chinese guard named Kushankun came to Okinawa in 1786. 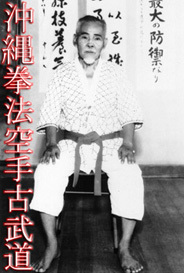 Kushankun’s ability astonished the Okinawan people. 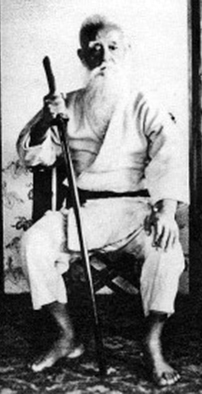 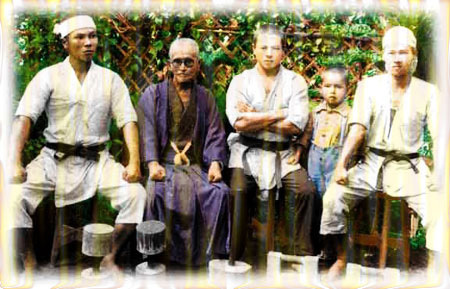 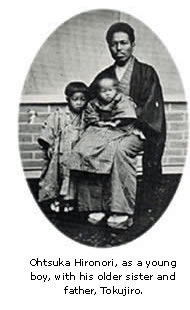 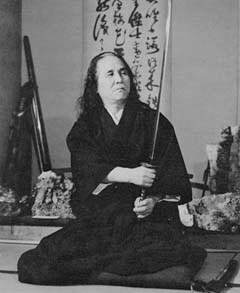 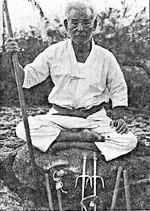 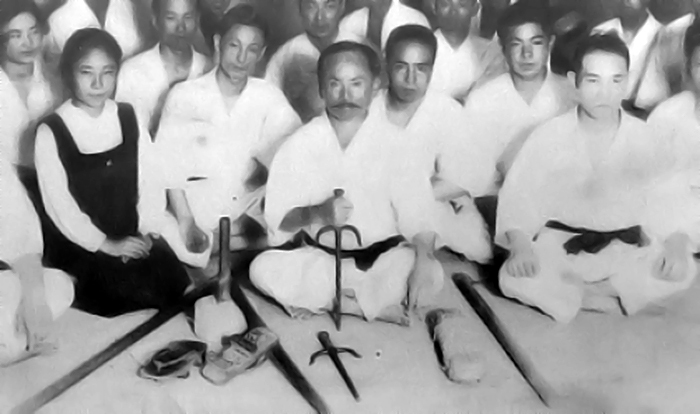 It was Kushankun who devised the kata, "Kushanku"
that they committed, themselves to follow his teachings. 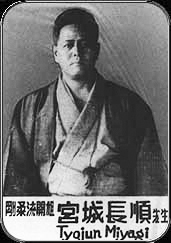 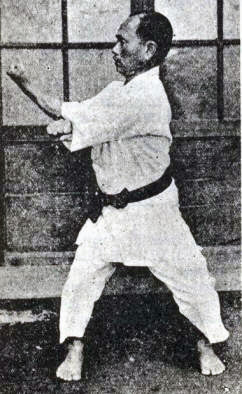 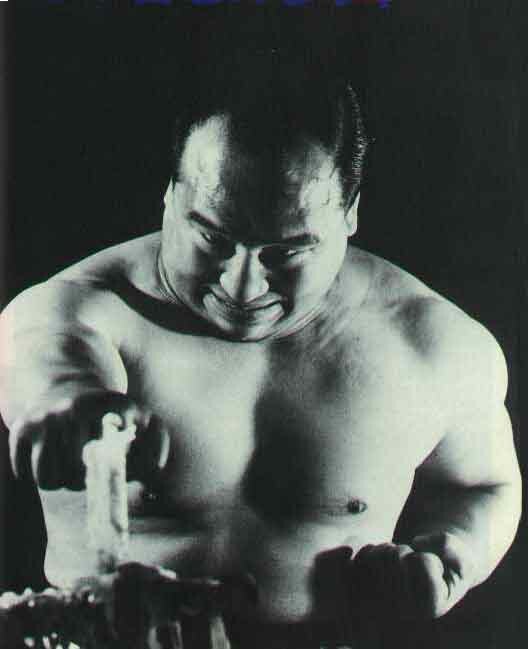 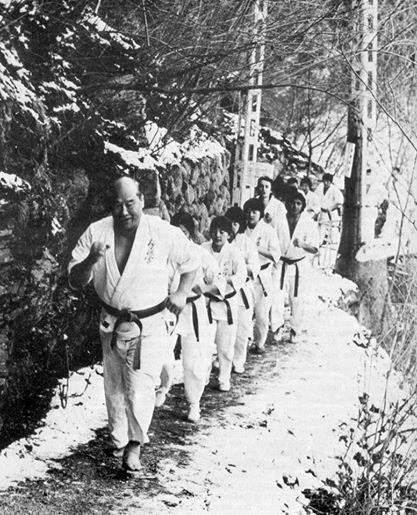 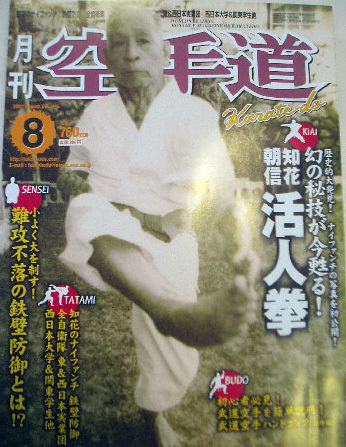 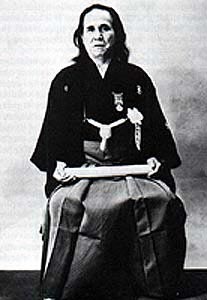 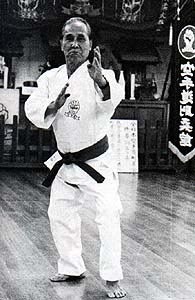 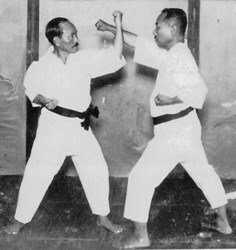 Sakugawa would later travel to china to further his martial arts study. 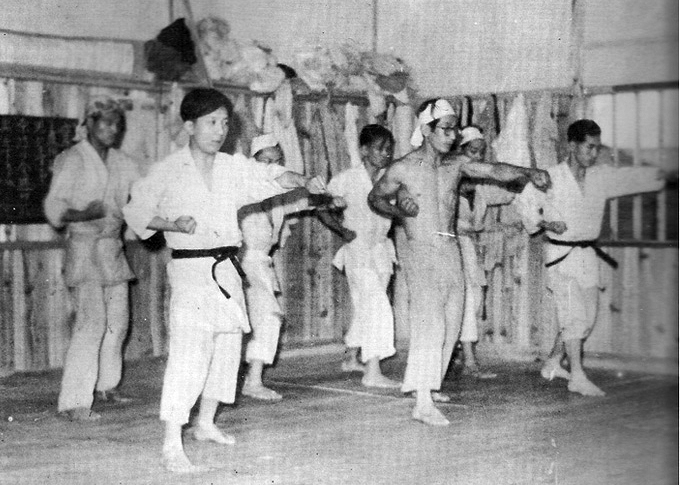 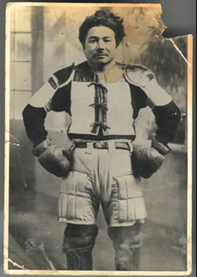 After several years of training he returned to Okinawa where he would come to be known as “Chinese Hands Sakugawa’. 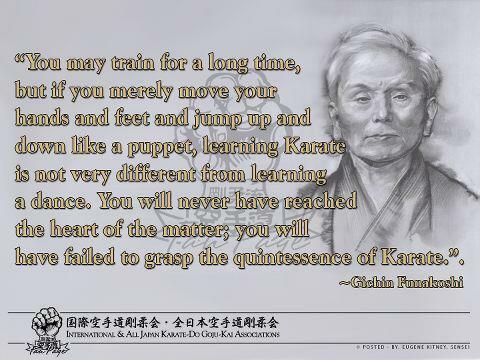 He taught his art to many students who would eventually become masters themselves. 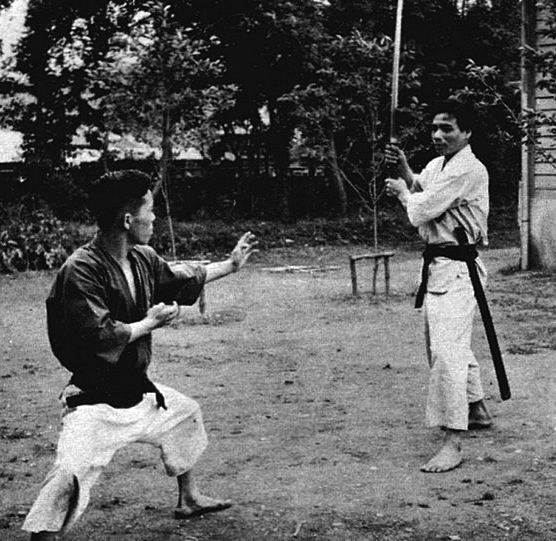 But it was not until late in Sakugawa’s life when he would accept a young man who would become his most famous student, Sokun Matsumura. 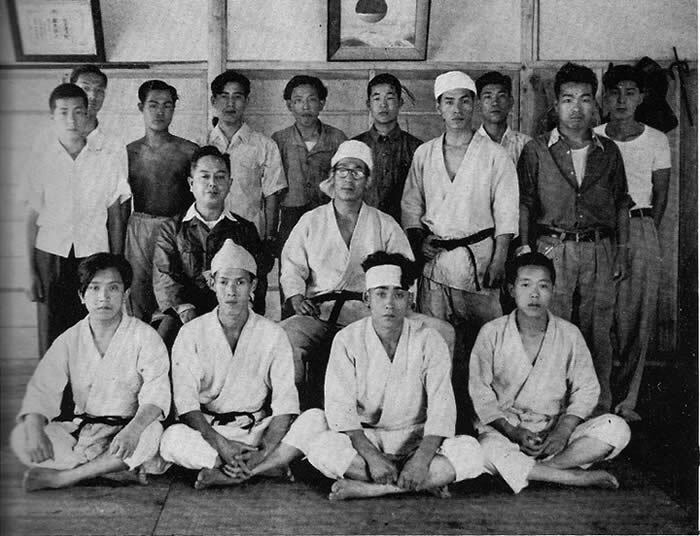 On January 21, 1969, Mr. Shigeru Nakamura, the Grand Master of the Okinawan Kenpo Karate-Do Association, passed away in his hometown of Nago City, Okinawa. 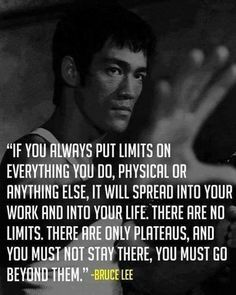 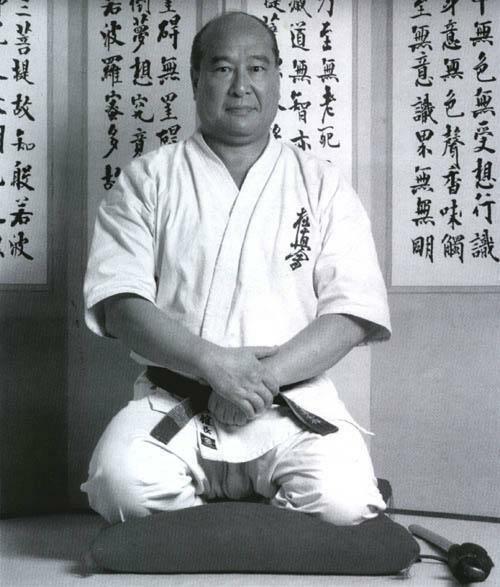 He was a man of extraordinary character and karate talent. 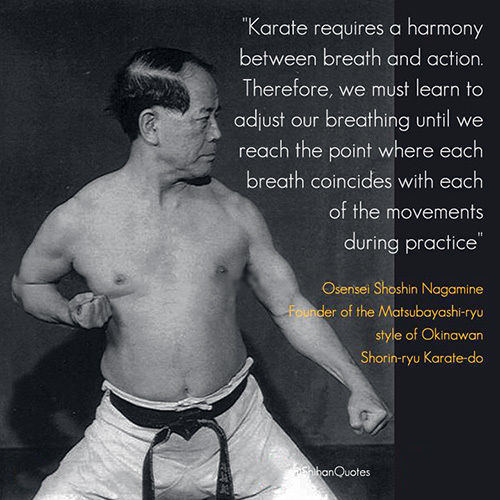 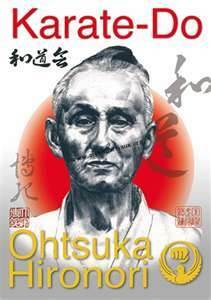 His entire life was devoted to the pursuit of the way of Okinawan Karate-Do. 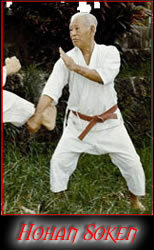 His death represented a tremendous loss to all, and particularly to the world of karate. 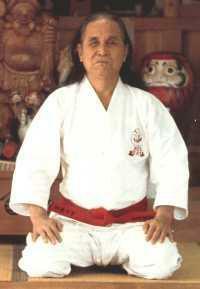 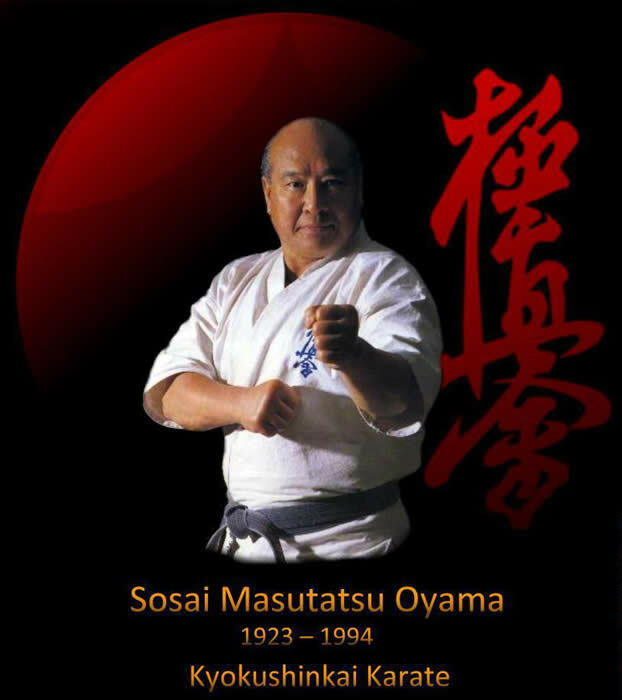 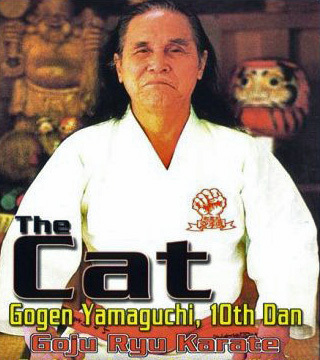 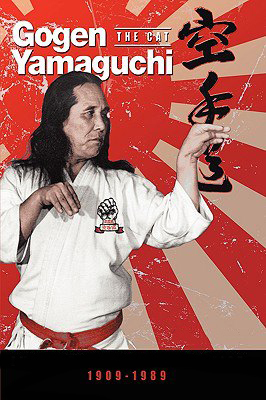 He will always be remembered for his many contributions to the development of Okinawan Karate. 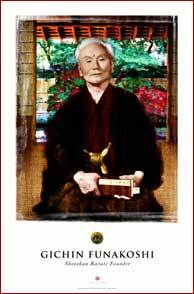 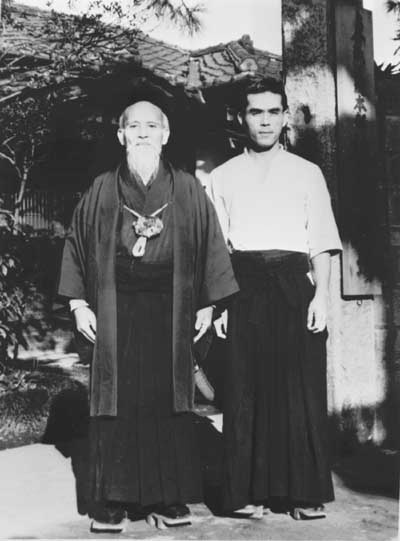 It is correct to also mention another Okinawan master, Kanryo Higaonna who also traveled to China to study under many Chinese masters. 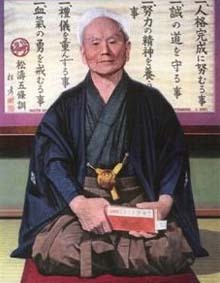 Master Higaonna also brought back and introduced his art to Okinawans. 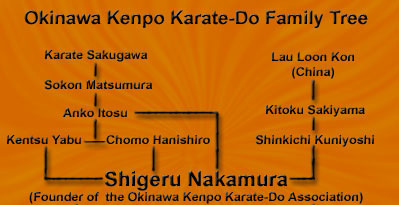 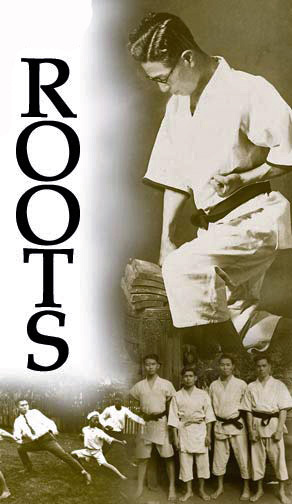 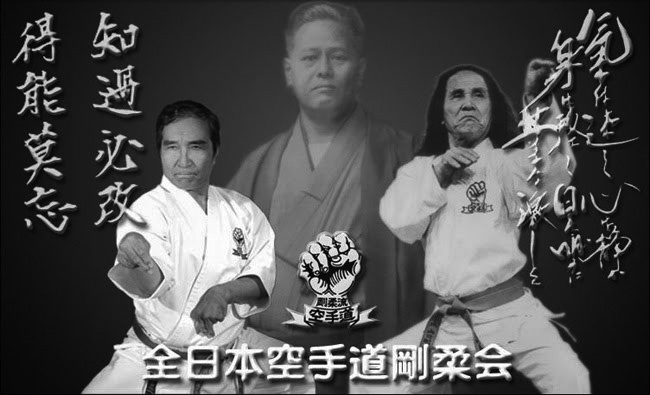 So the roots of Okinawan Karate can be traced back to Indian Kenpo, which was the basis of Chinese Kenpo. 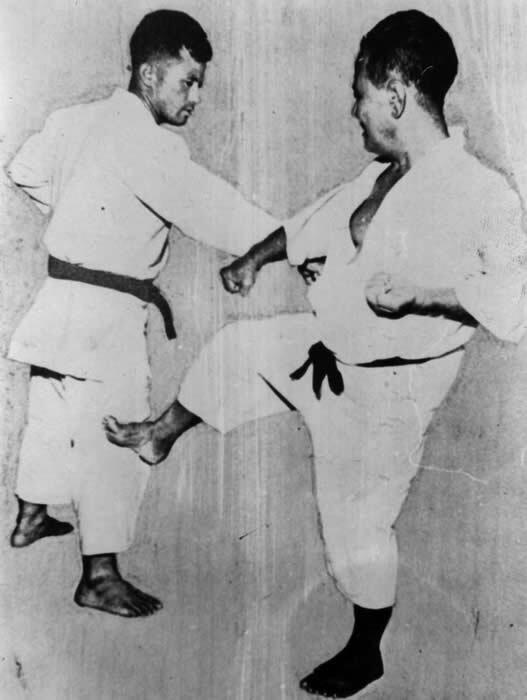 It is at this point that Martial Arts from other countries first made major inroads. 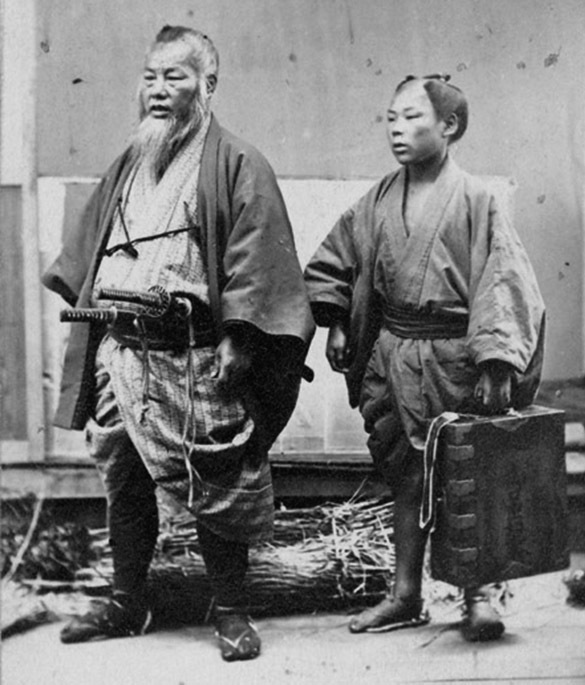 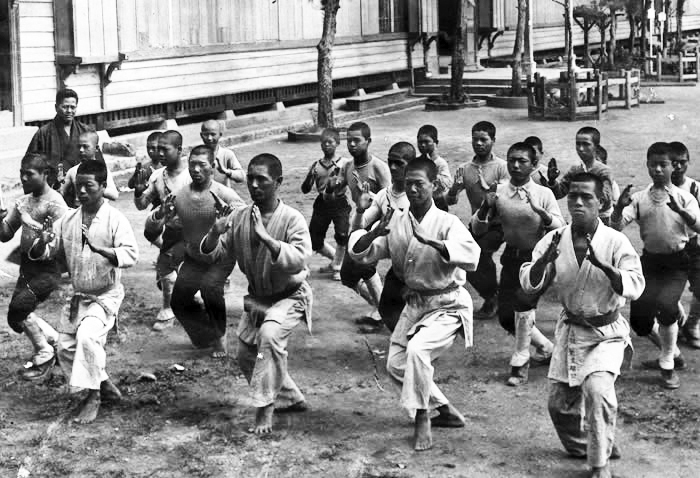 It is also probable that Chinese empty-hands fighting methods were introduced to Okinawa, also called "Nanchu" in the native Okinawan language of Hogan. 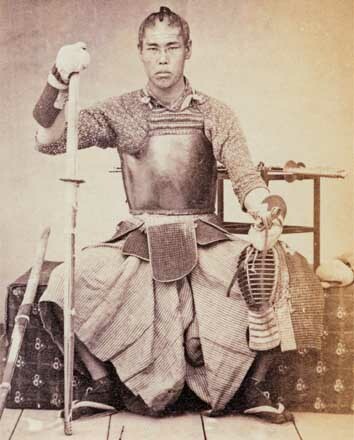 Around 1470, private ownership of arms was restricted and swords were no longer permitted as personal equipment. 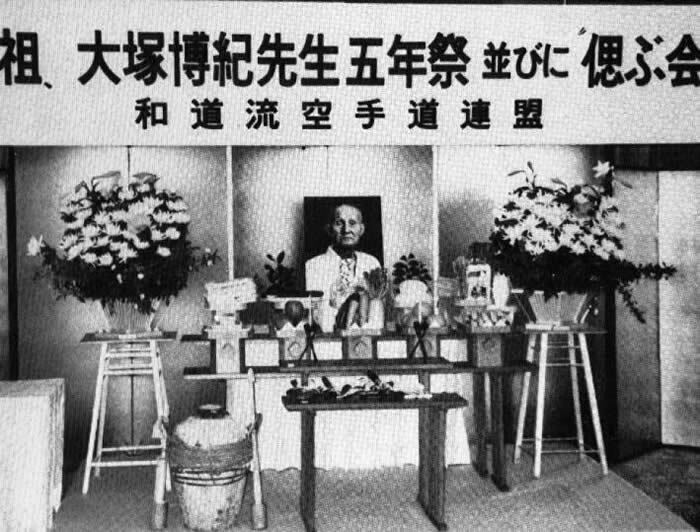 All weapons were stored in government warehouses. 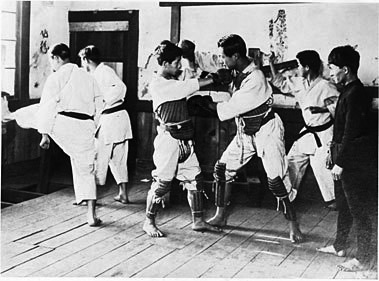 The effect of this ban on weapons was the stimulation of empty-hands fighting methods. 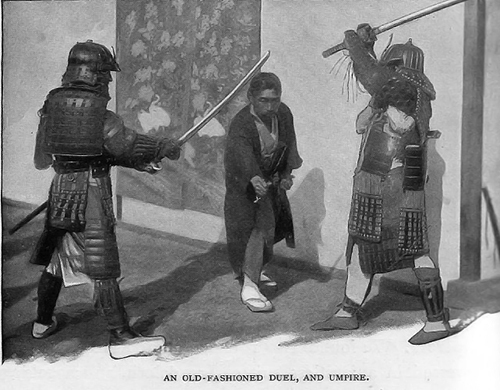 Combat methods were studied and practiced clandestinely. 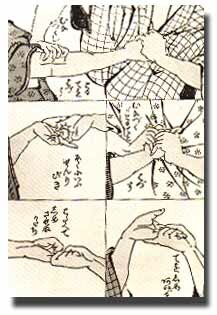 Gradually, styles became known as "te", meaning hand. 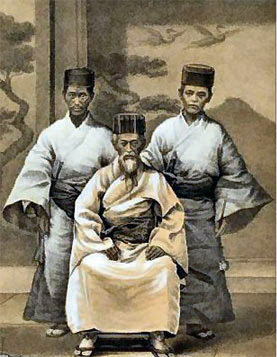 The "te" developed at the old capital Shuri and was called "Shuri-te" received the strongest influence from the External System (brought in from other countries) and, accordingly, was primarily offensive. 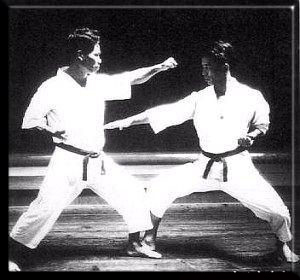 It can be seen in the Shorin-ryu systems of today. 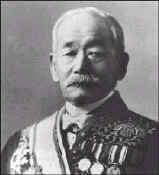 The "te" developed in the new capital of Naha was called "Naha-te" and was a very strong system. 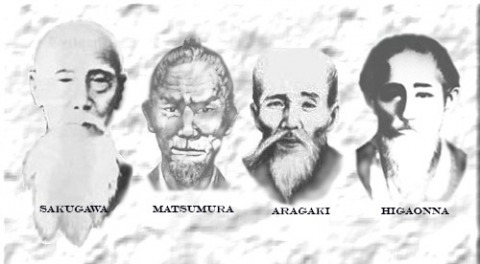 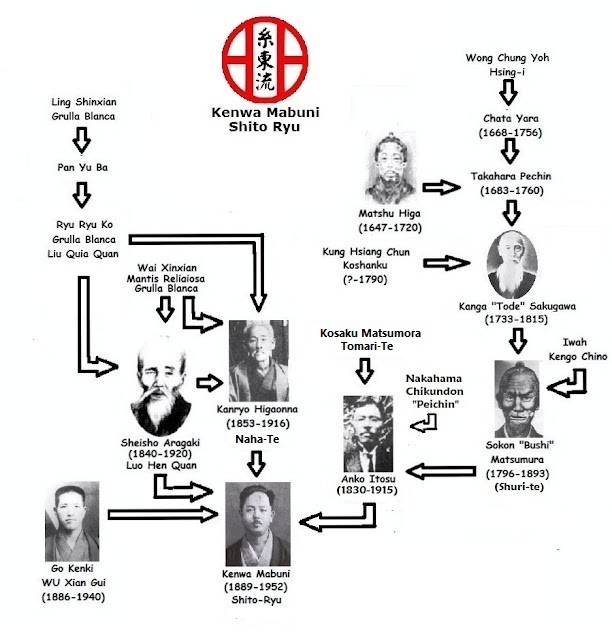 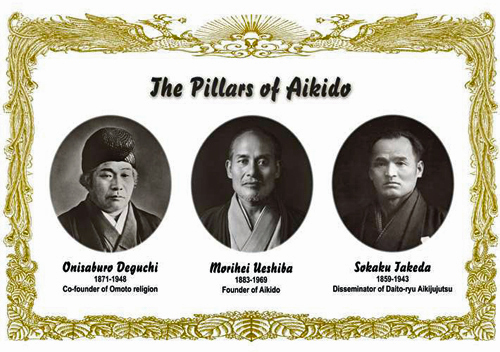 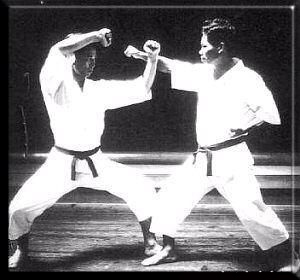 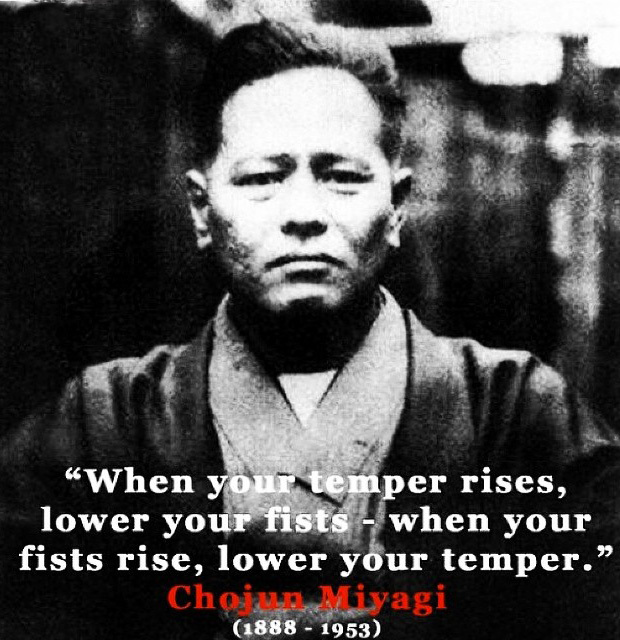 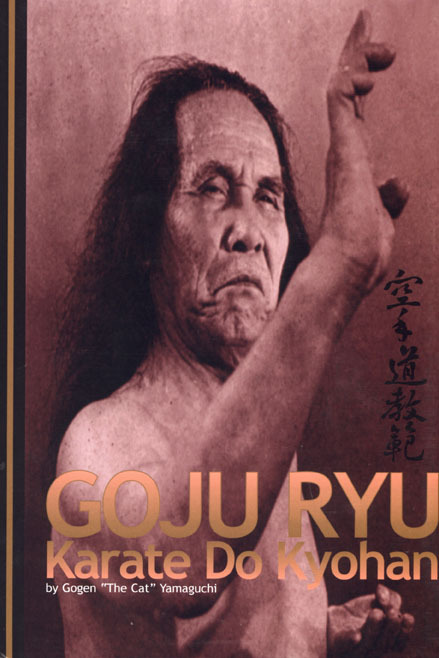 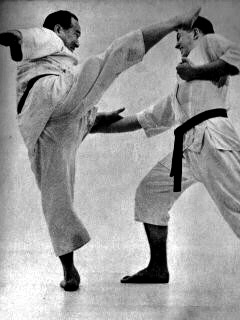 The modern system of Goju-ryu "karate" came from this system. 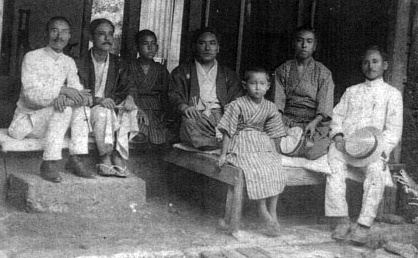 From 1890 to 1940, Okinawa underwent complete assimilation by Japan. 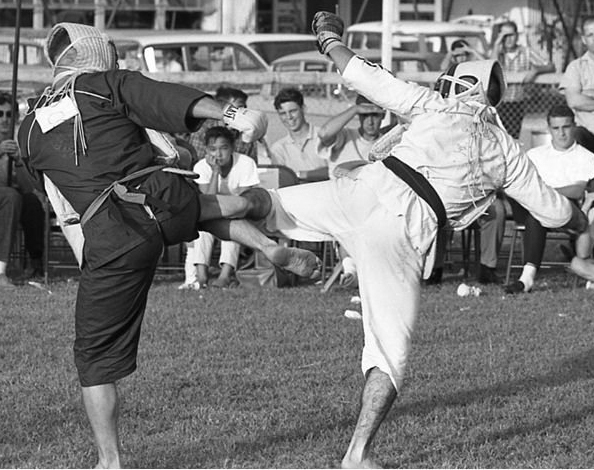 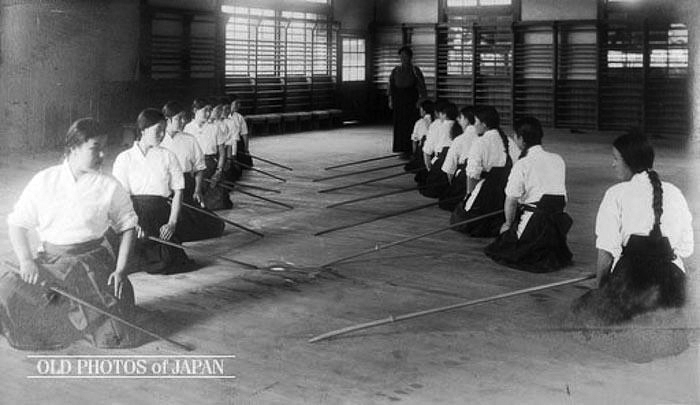 As Okinawan skills increased, competitions were conducted with teams from Japan. 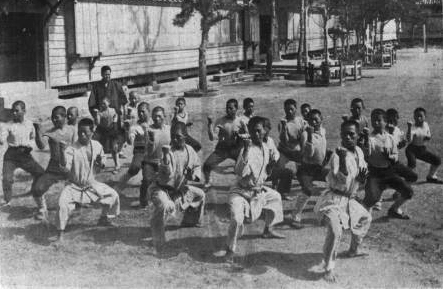 Impressed, the Japanese government authorized the inclusion of te as physical education in Okinawan schools. 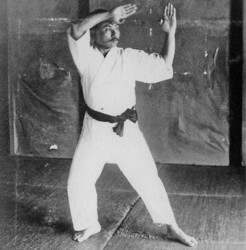 as before but used and alternate meaning of the "kara" symbol. 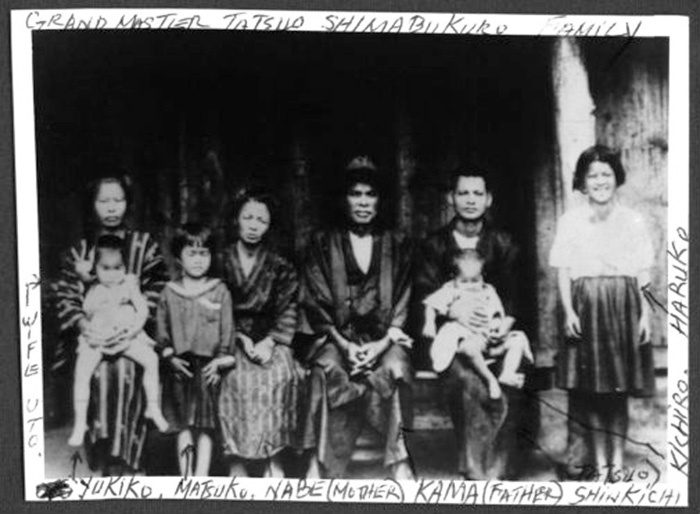 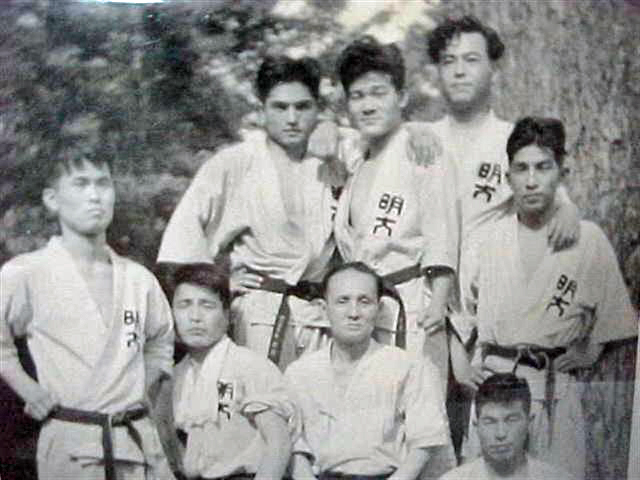 Photo far right - Back row (L-R): Yasuhiro Konishi, Tatsuo Yamada. 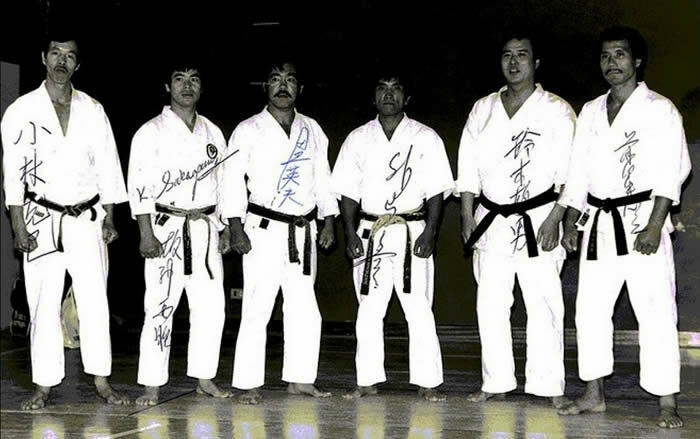 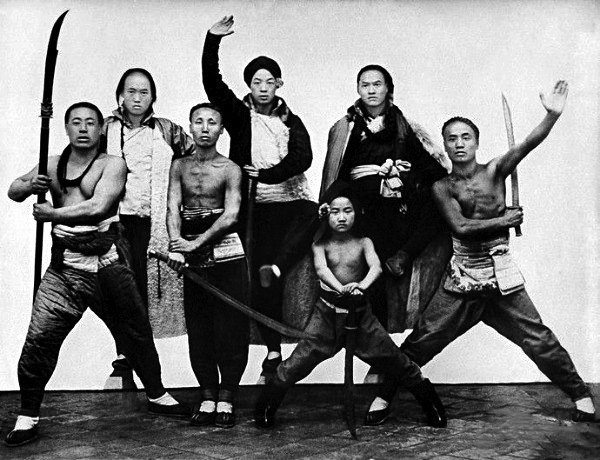 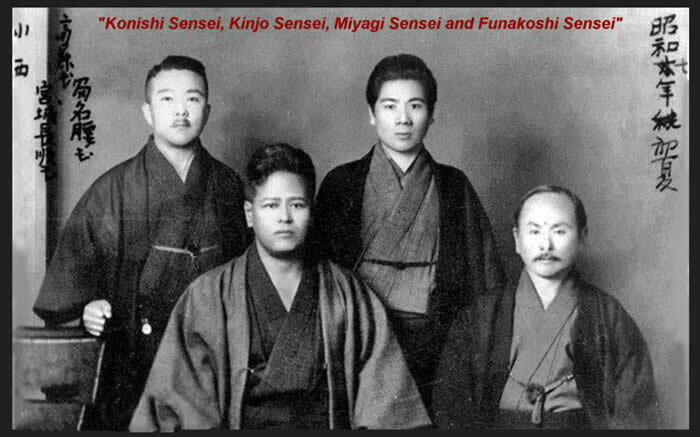 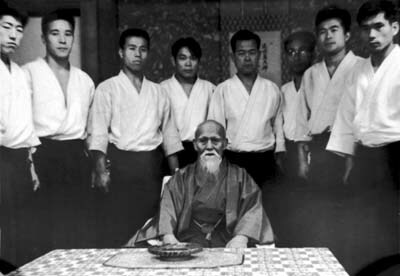 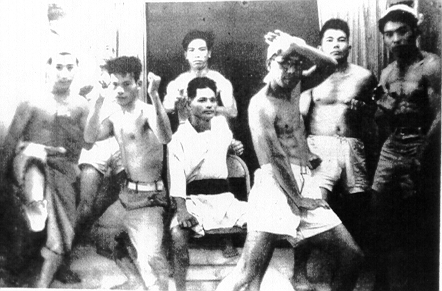 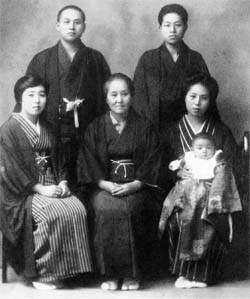 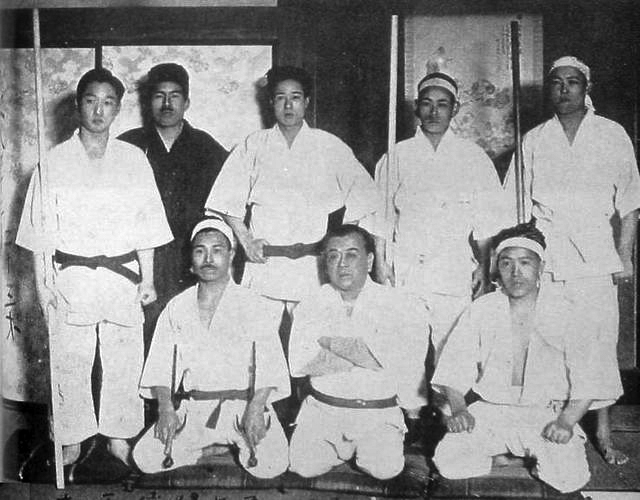 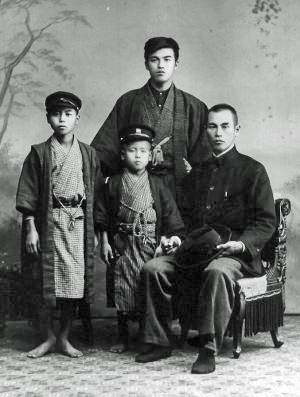 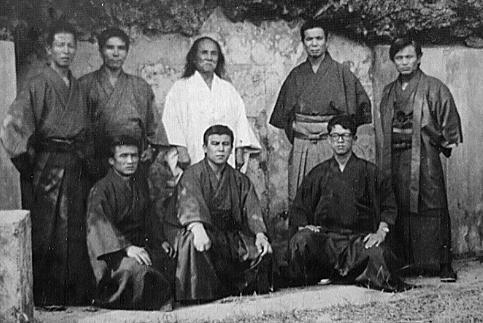 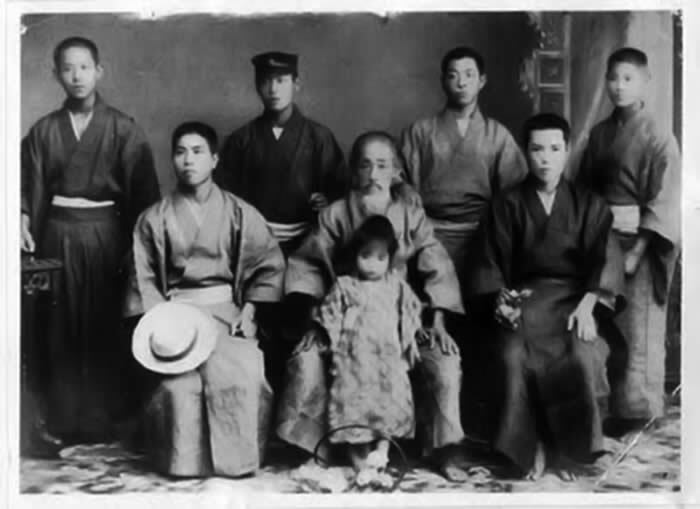 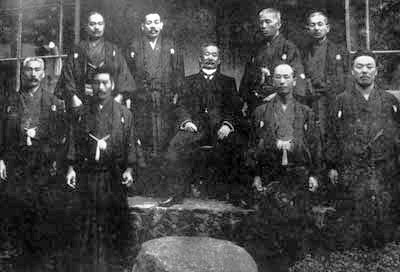 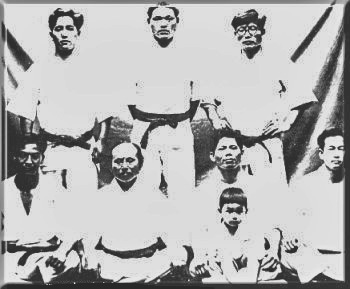 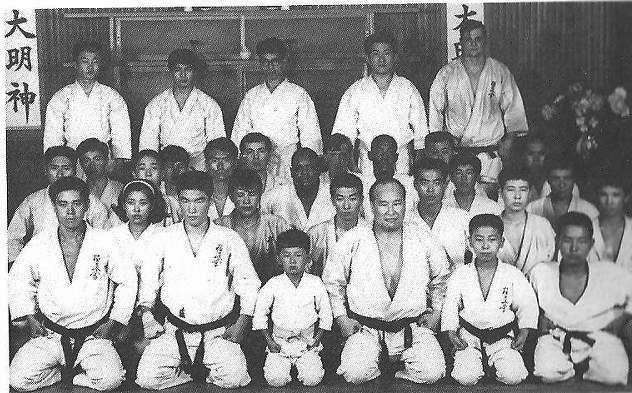 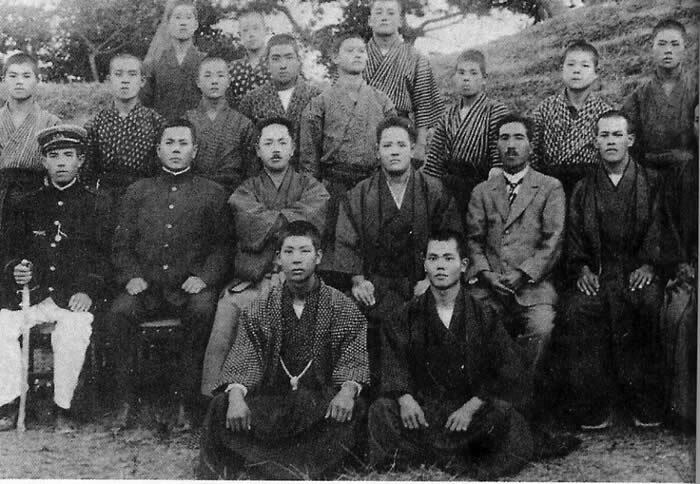 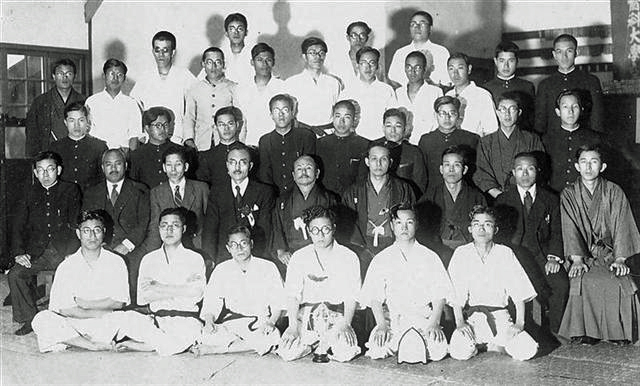 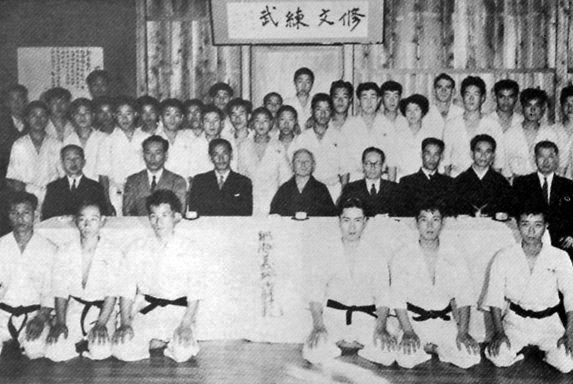 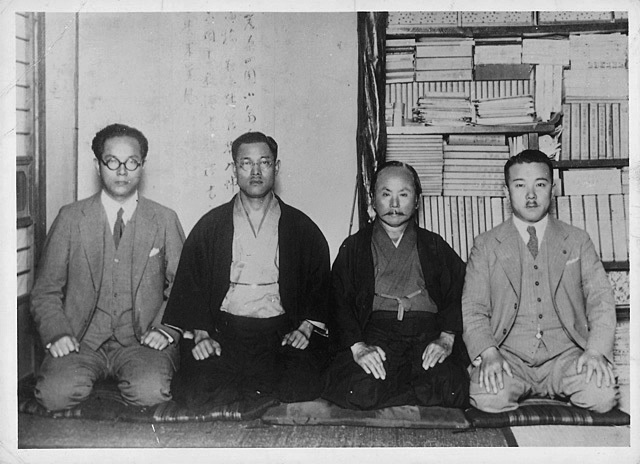 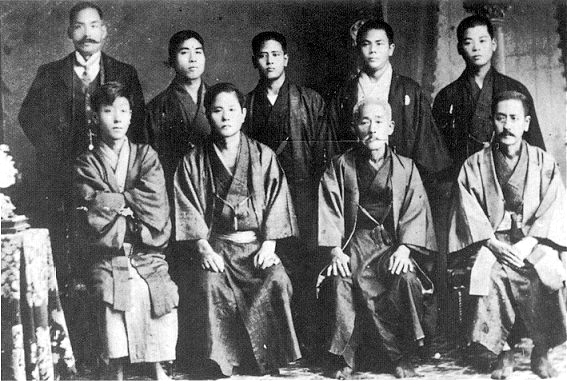 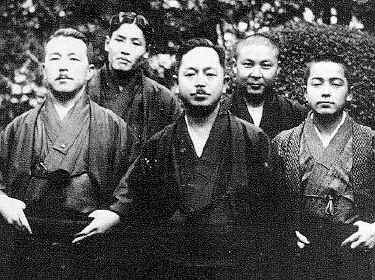 Front row (L-R): Chojun Miyagi, Master Gichin Funakoshi. 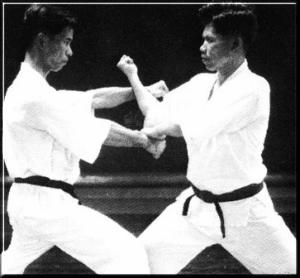 As I said Karate means"empty hands" indicating that Karate is a fighting art that does not require weapons. 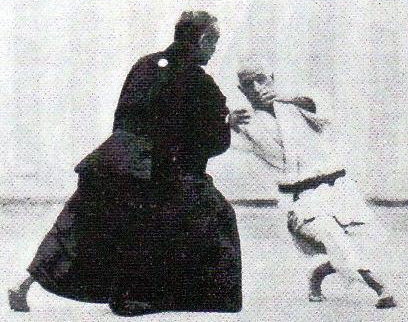 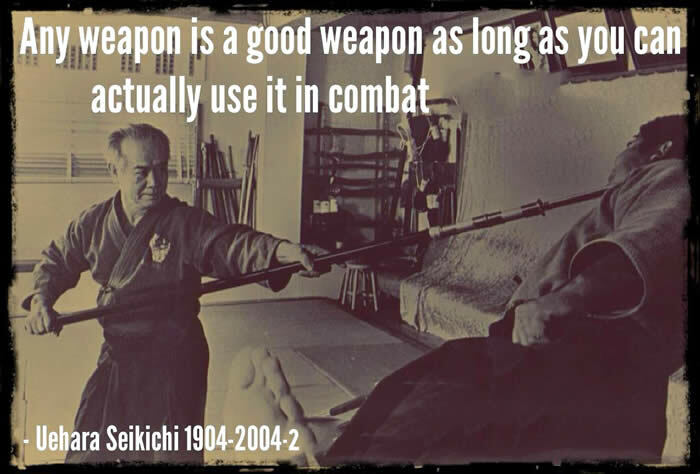 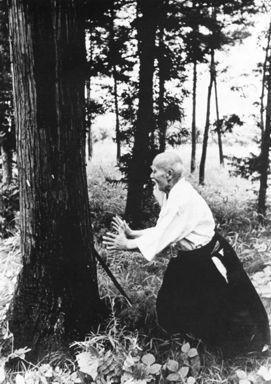 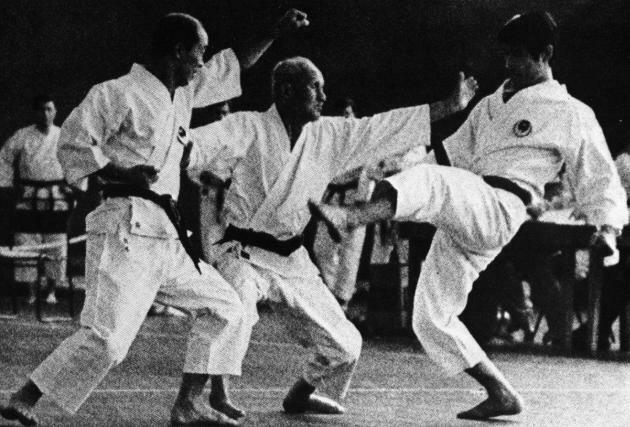 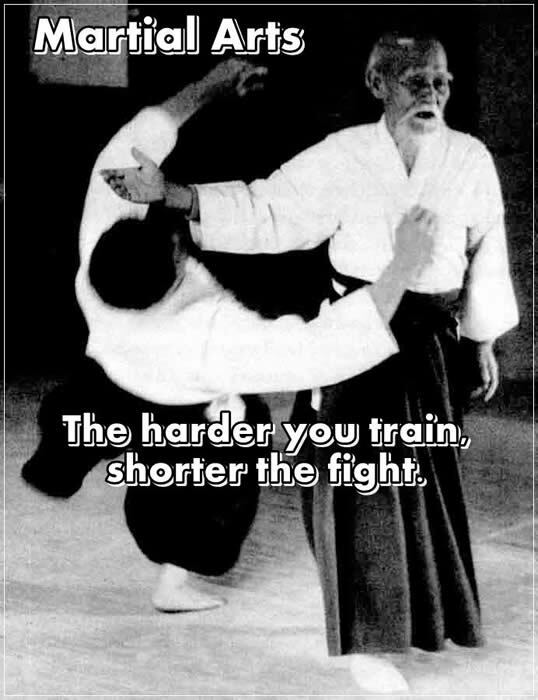 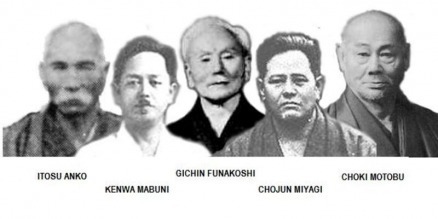 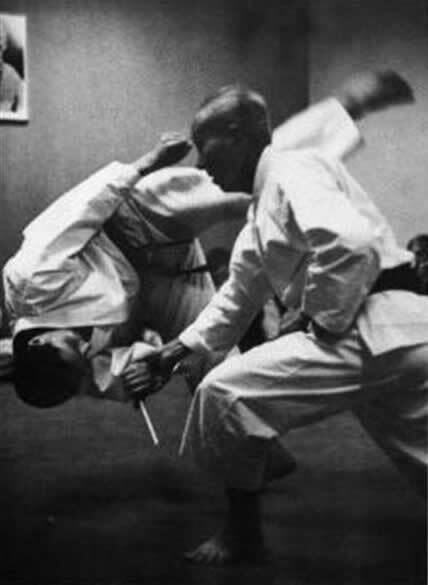 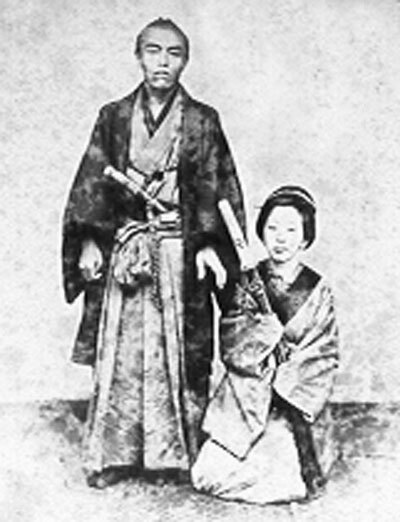 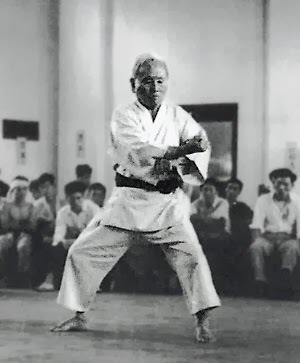 Although Gichin Funakoshi an Okinawan by birth who brought the art of karate to Japan it is believed that the Japanese who were very nationalistic imposed their own stamp on karate by adding their martial art word or code "Do" (way or path), making it into karate-do. 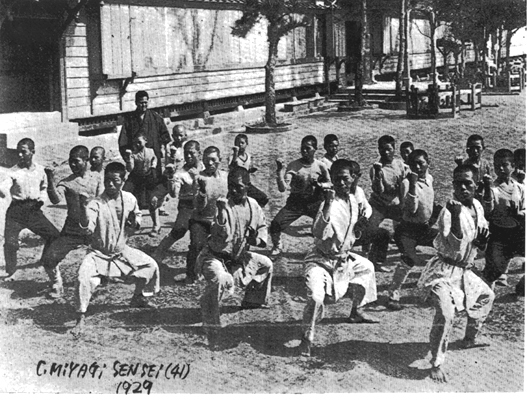 From then on, and even today karate is seen in the eyes of many Japanese as a Japanese born martial art. 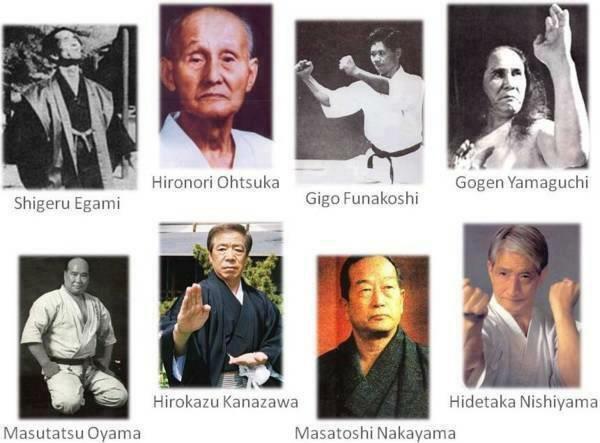 Because of this ideology we find that most people throughout the western world are also under the impression that karate is a Japanese founded art. 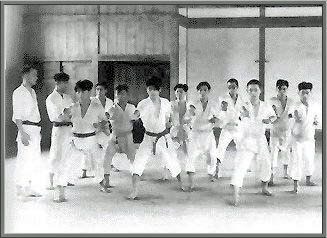 We find that most Japanese martial arts systems consist of the word "DO" such as "KENDO" "JUDO" "AIKIDO" etc. 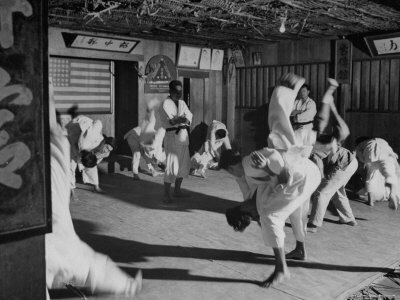 The Japanese people have been and are still to a degree, fanatically and very nationalistic, some say that say stole the art of karate from the Okinawan's. 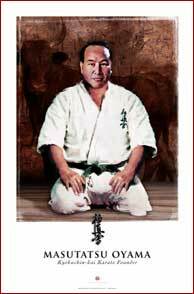 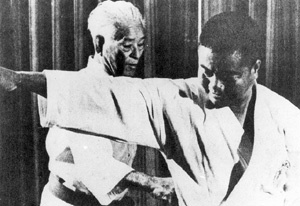 demonstrate karate to high ranking Japanese dignities as well as to Japanese founder masters of judo and aikido. 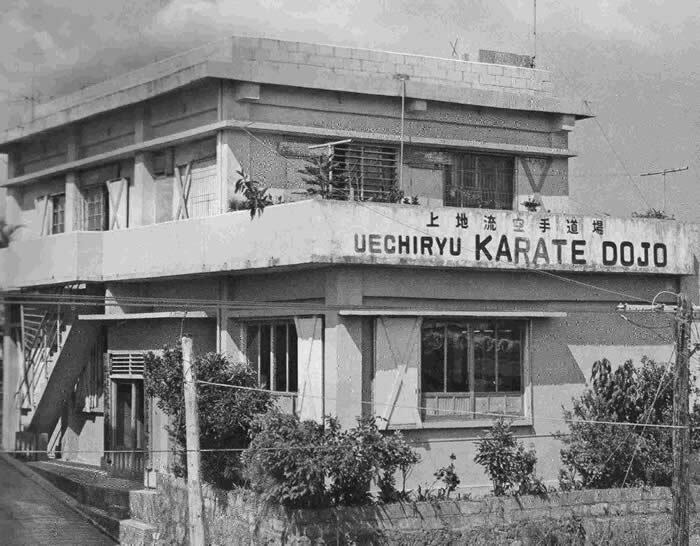 eventually integrated into there own martial arts culture. 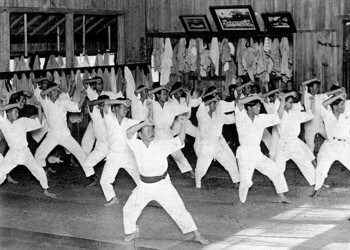 They say that the Western World was introduced to Karate after the 2nd World War by the many returning American gis who had learnt karate while stationed in Okinawa and Japan. 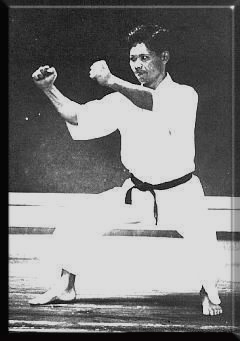 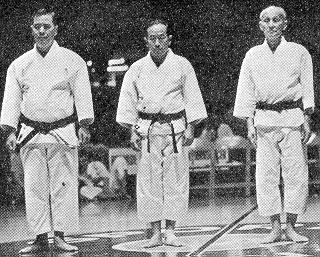 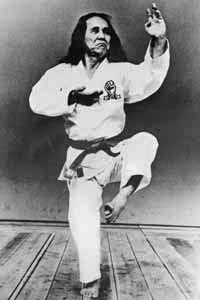 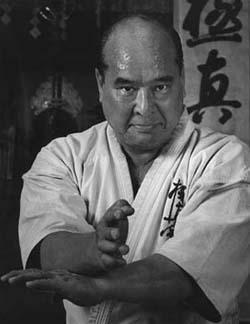 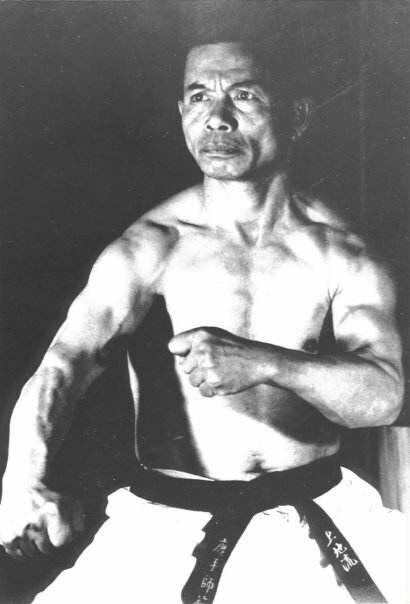 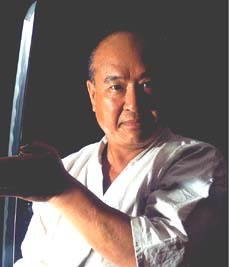 However it is also said that a Japanese karate master named Tsutomu Ohshima is also credited in bringing karate first to America around 1955. 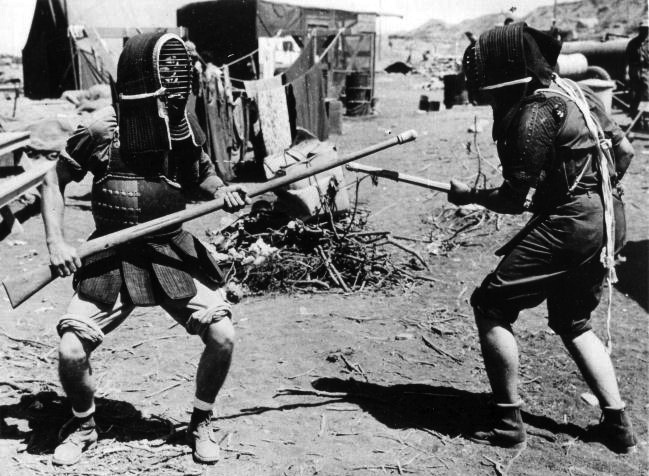 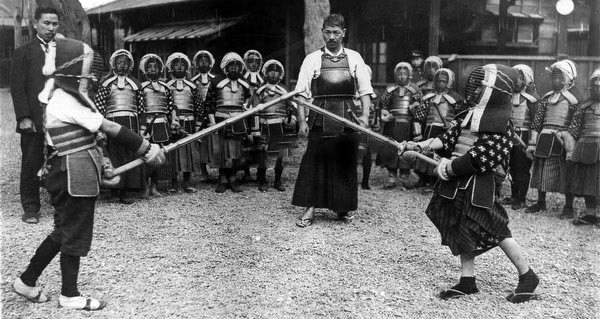 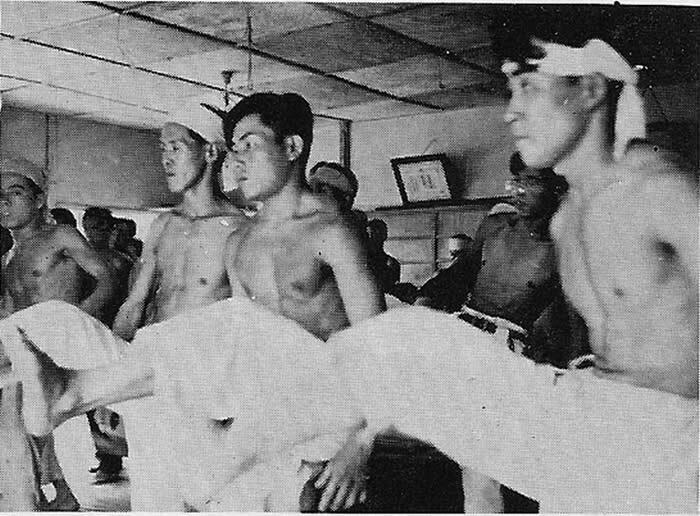 In the early days of Okinawa these traditional fighting arts were kept a close guarded secret within certain martial art families. 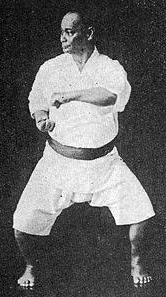 Now many forms of karate are widely and openly practiced from young to old throughout the Western World. 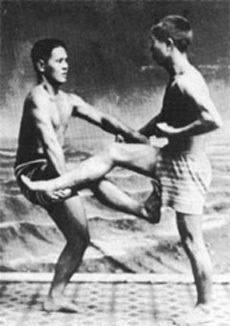 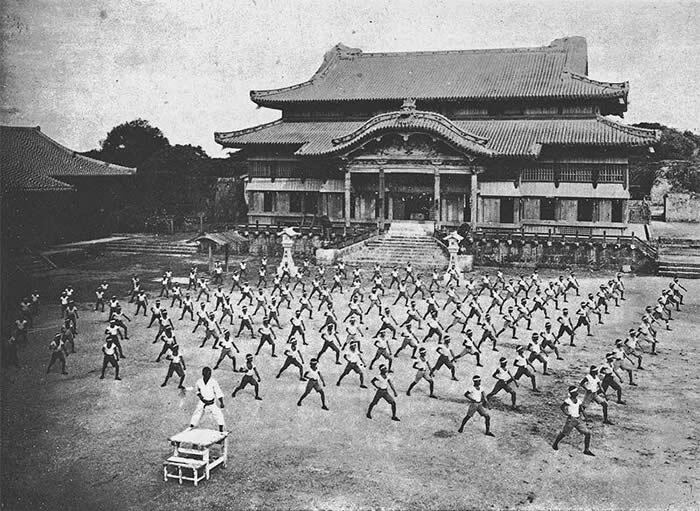 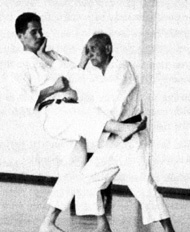 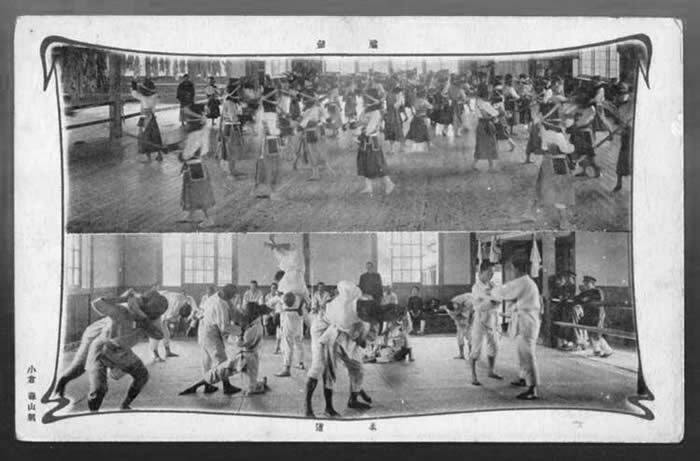 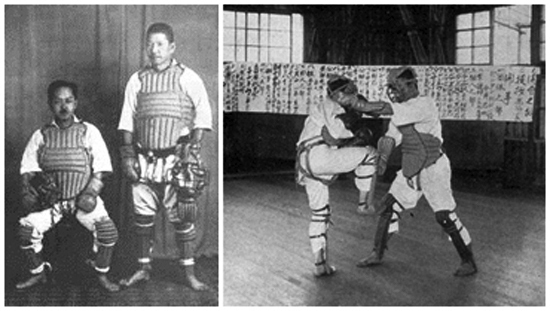 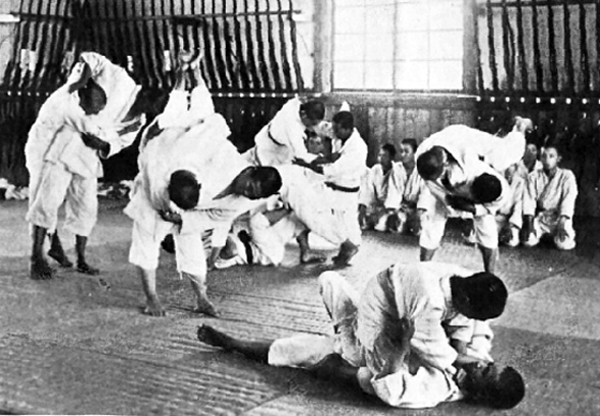 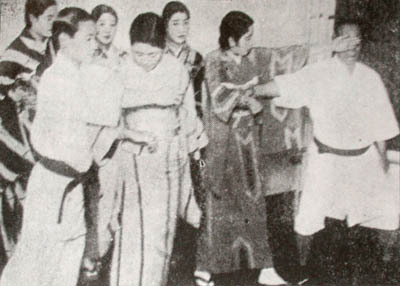 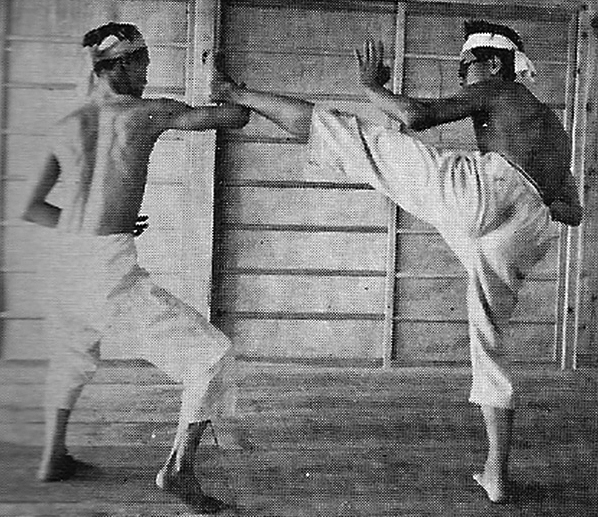 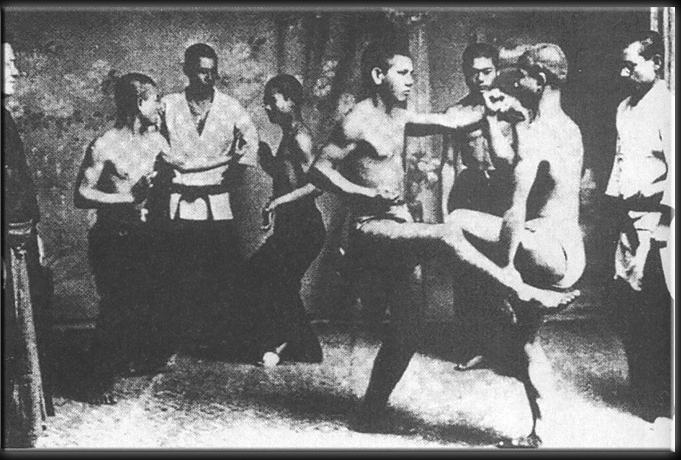 "Karate" was now the name used to refer to this unique fighting system that developed on Okinawa and spread to Japan and from there to the rest of the world. 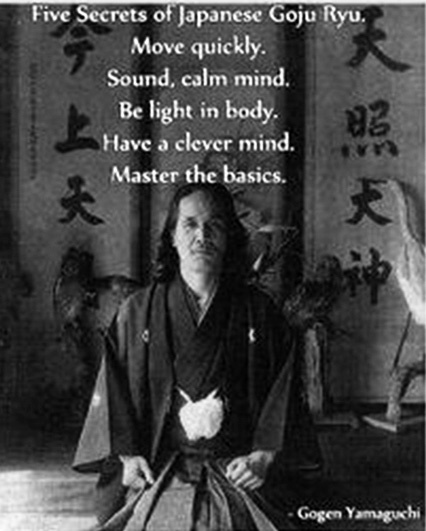 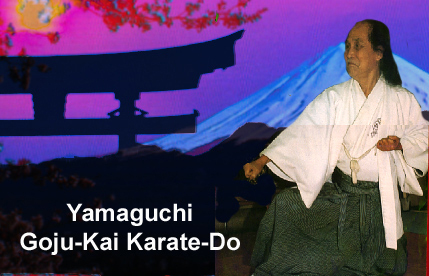 When referring to the formal art form it is called "Karate-do", "do" meaning the "way" or "path" or "enlightenment"in life. 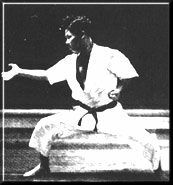 If you were referring to the combat applications of the art it was called "Karate-jutsu", "jutsu" meaning "warrior art" or "fighting method". 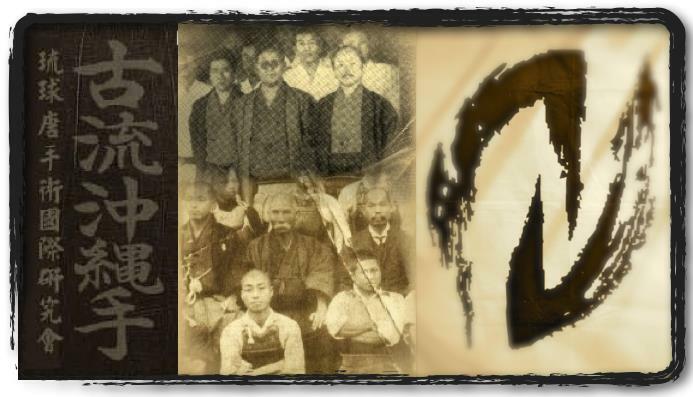 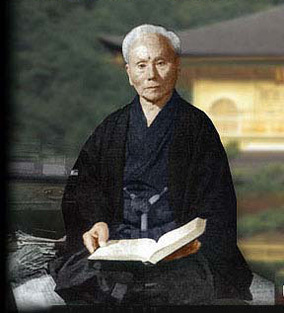 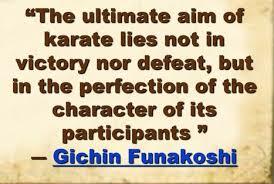 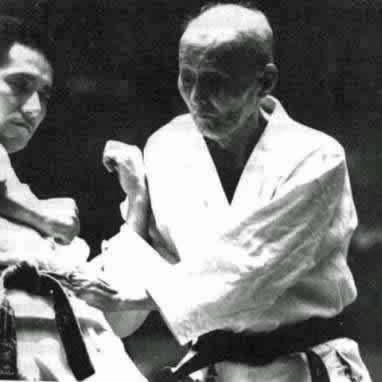 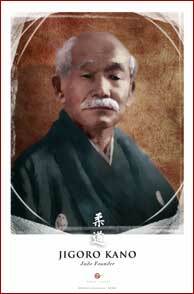 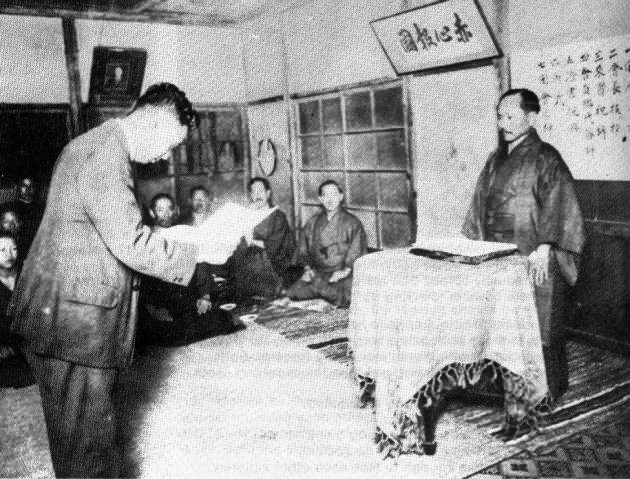 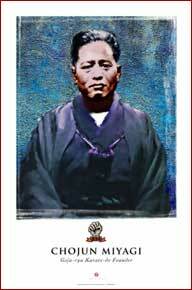 The life of Supreme karate master Gichin Funakoshi was the starting point of the art of karate. 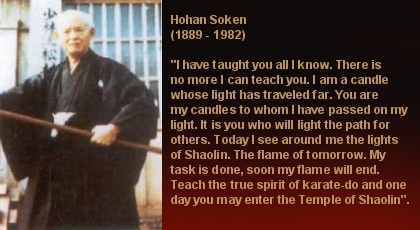 and through his magnificent philosophy of karate became the torchbearer of spiritual culture. 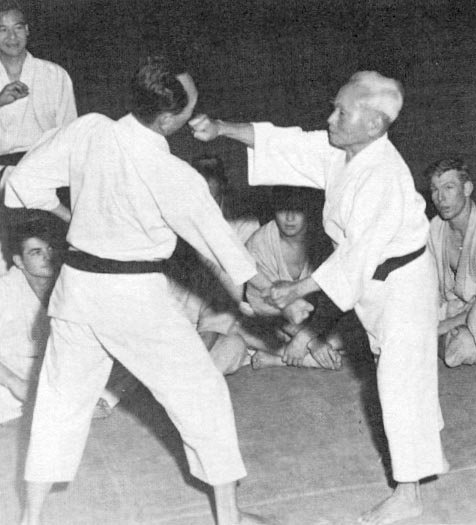 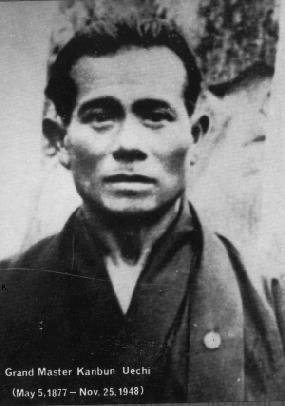 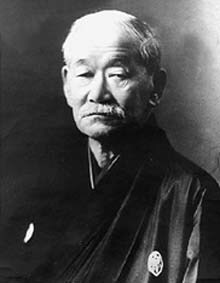 Master Ohtsuka, in his early years he was a jujitsu master, he then became one of the top Japanese students of Gichen Funakoshi. 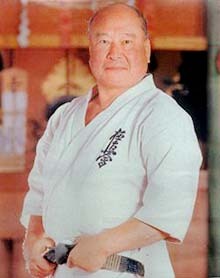 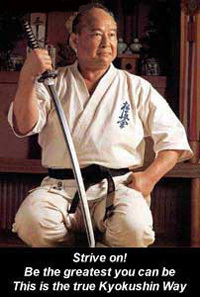 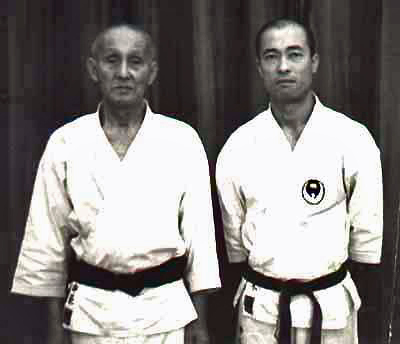 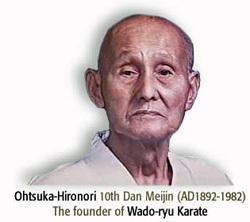 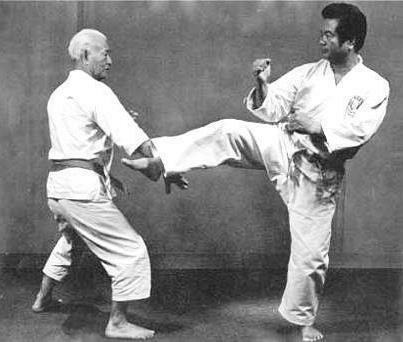 Later he left his master to become the founder of the Japanese Wado-Ryu karate system.